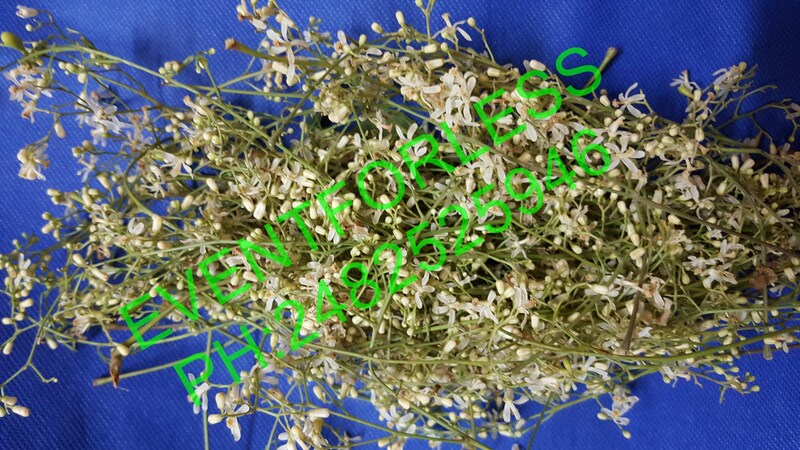 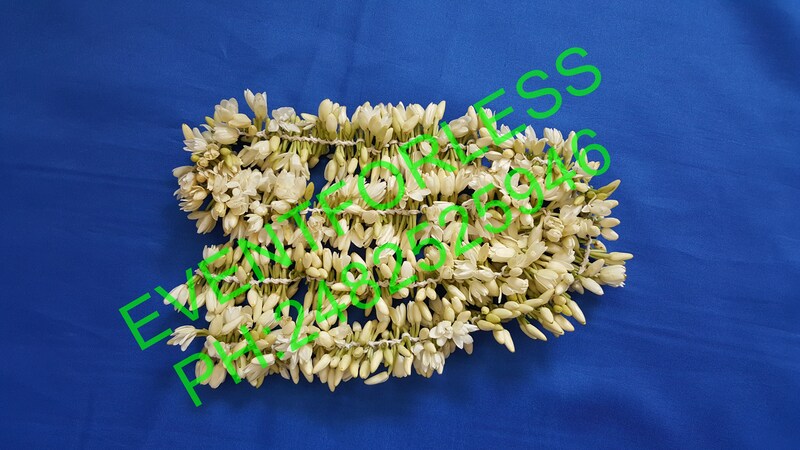 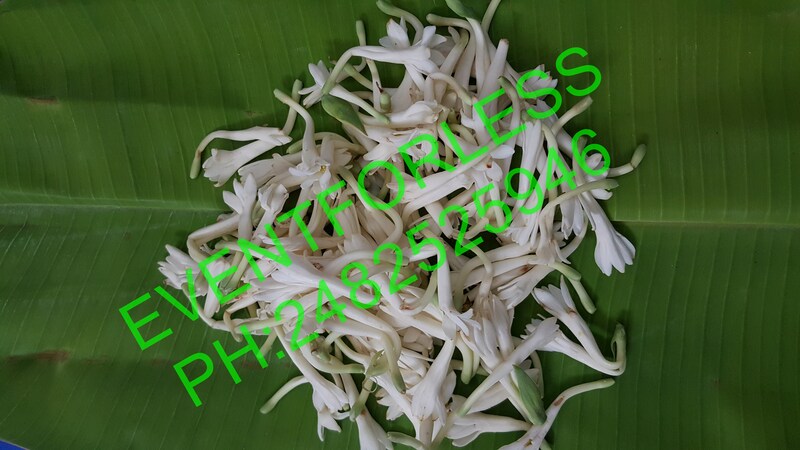 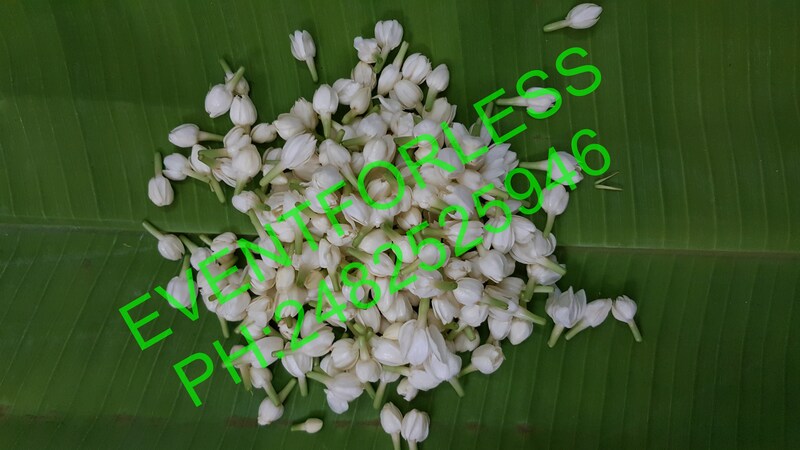 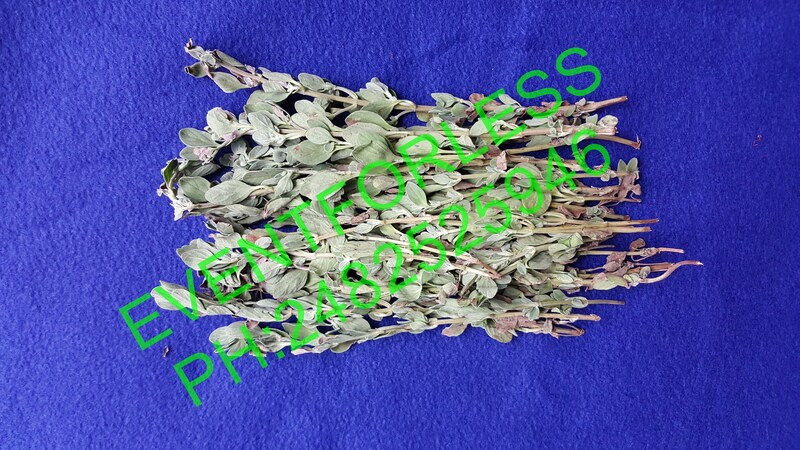 Special Note for India Flowers and Leaves: Due to the long journey, We dont have any Control on Color and Quality of Jasmine and Mullai flowers. 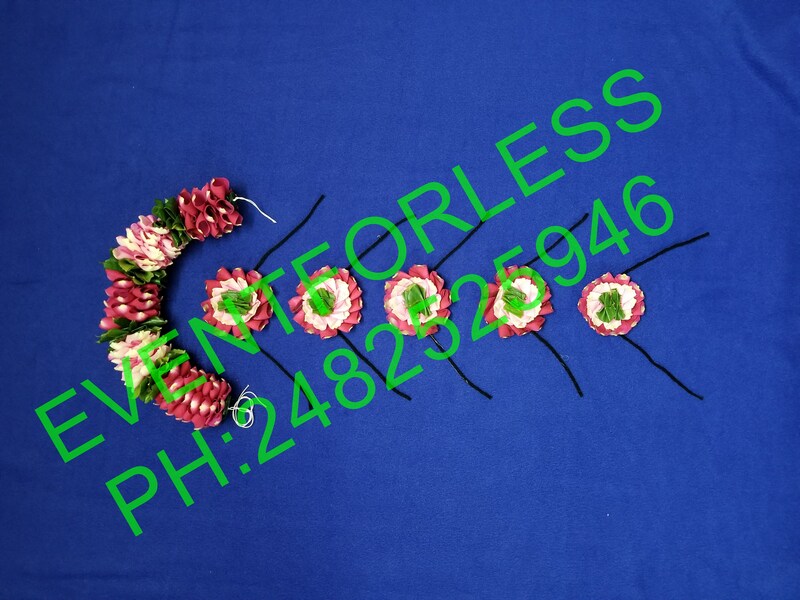 We are not responsible for your order or the order delays due to the customs department or flight cancelations. 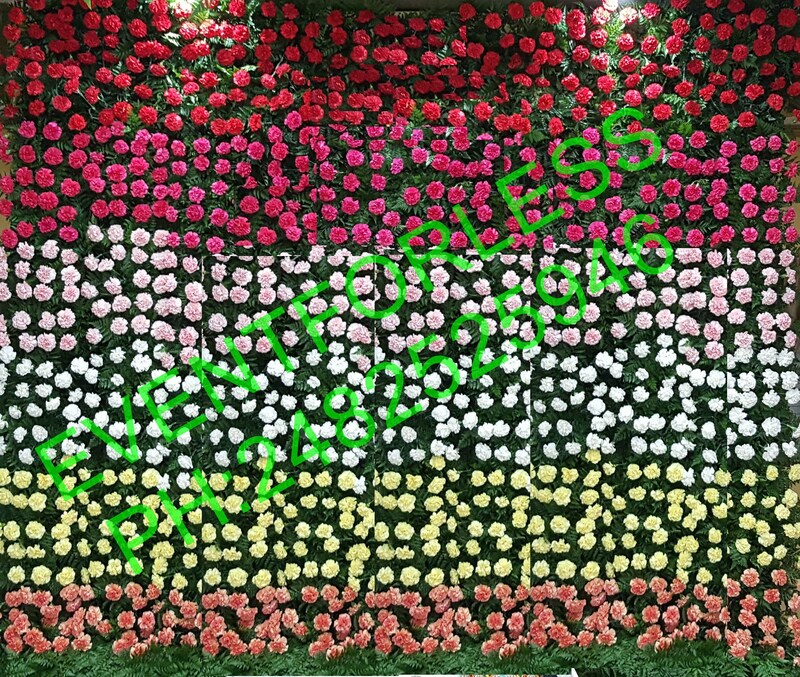 Thank you for Understanding. 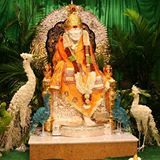 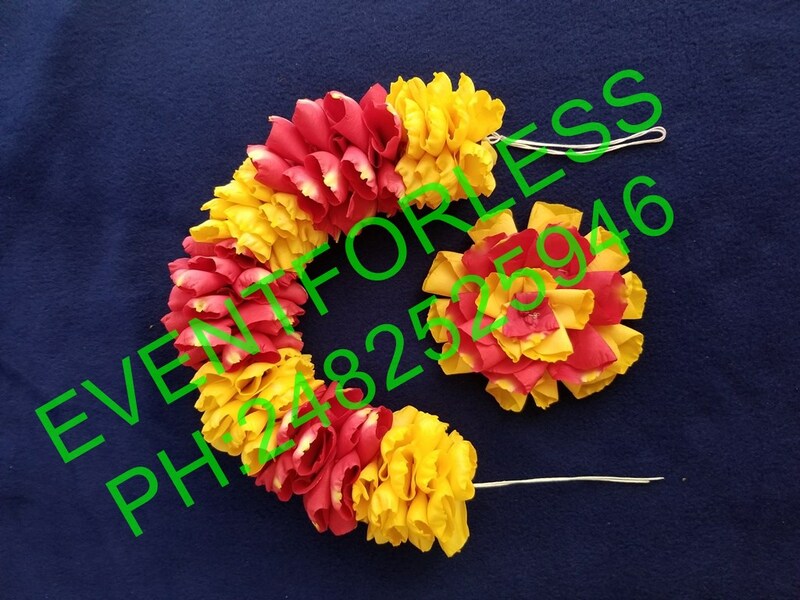 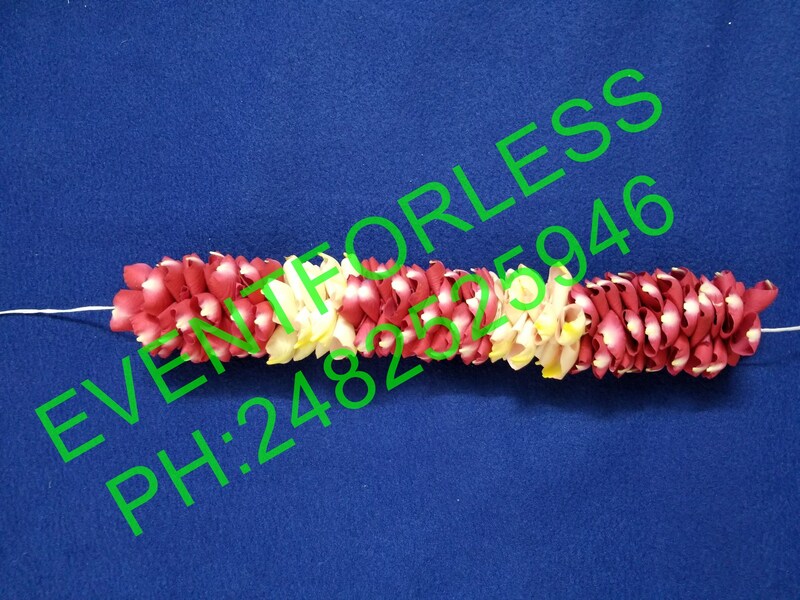 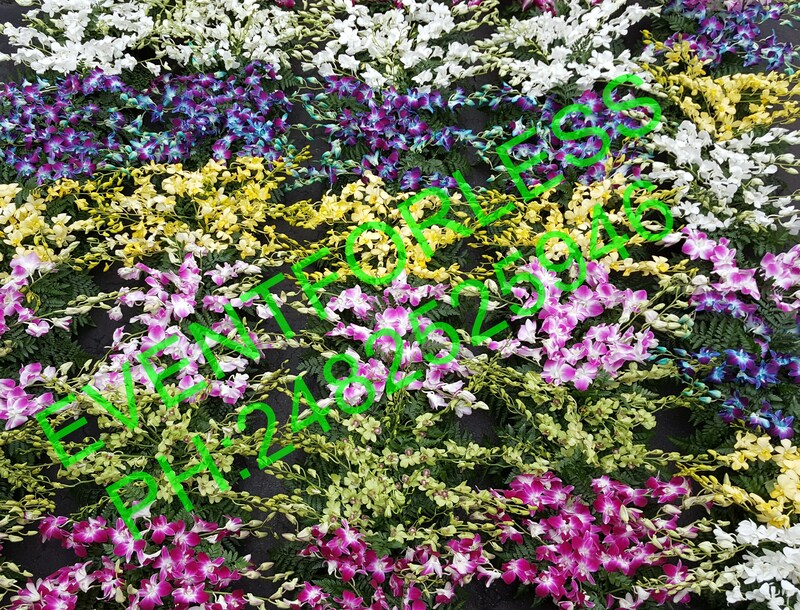 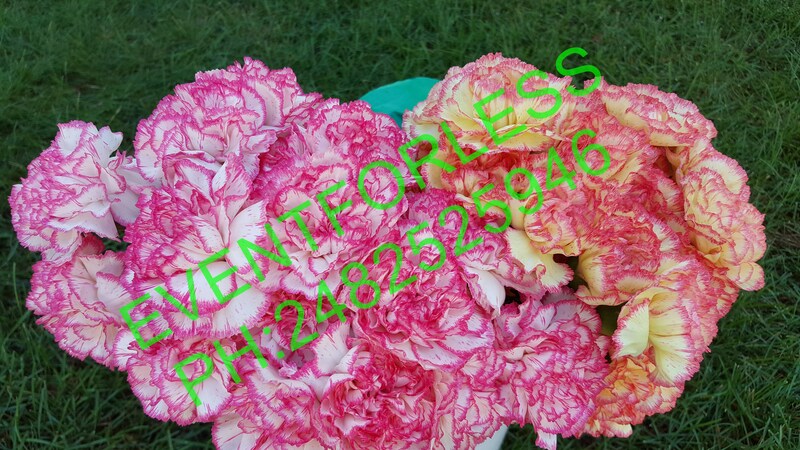 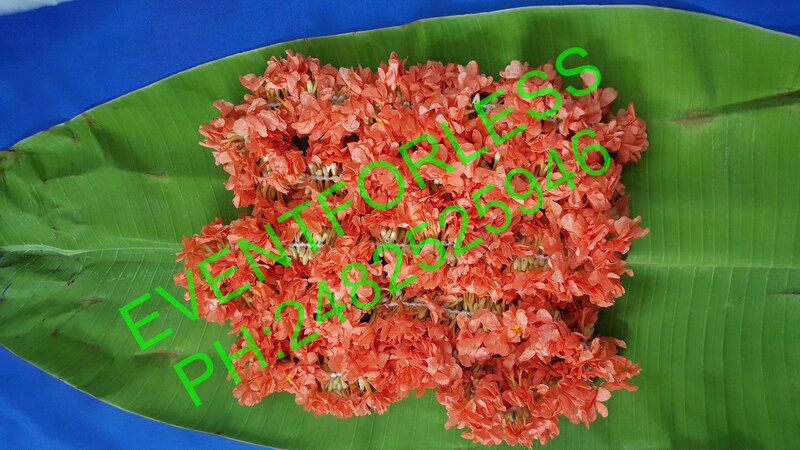 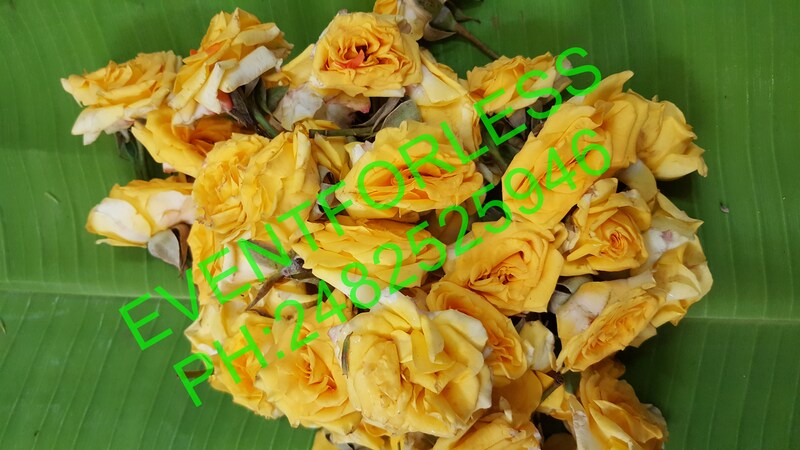 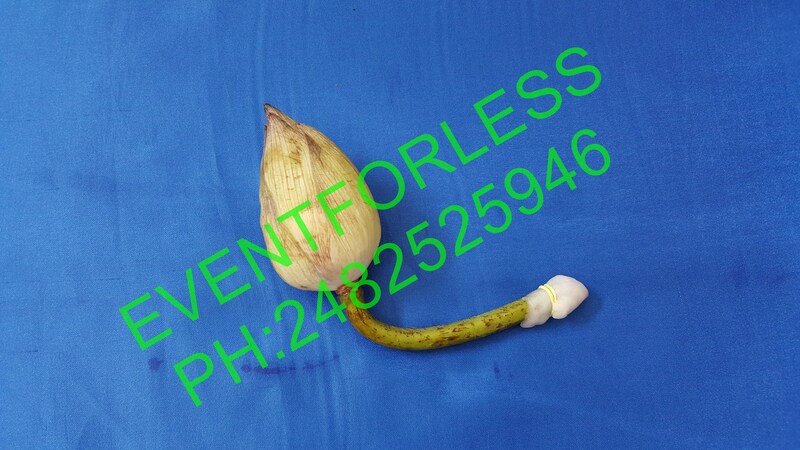 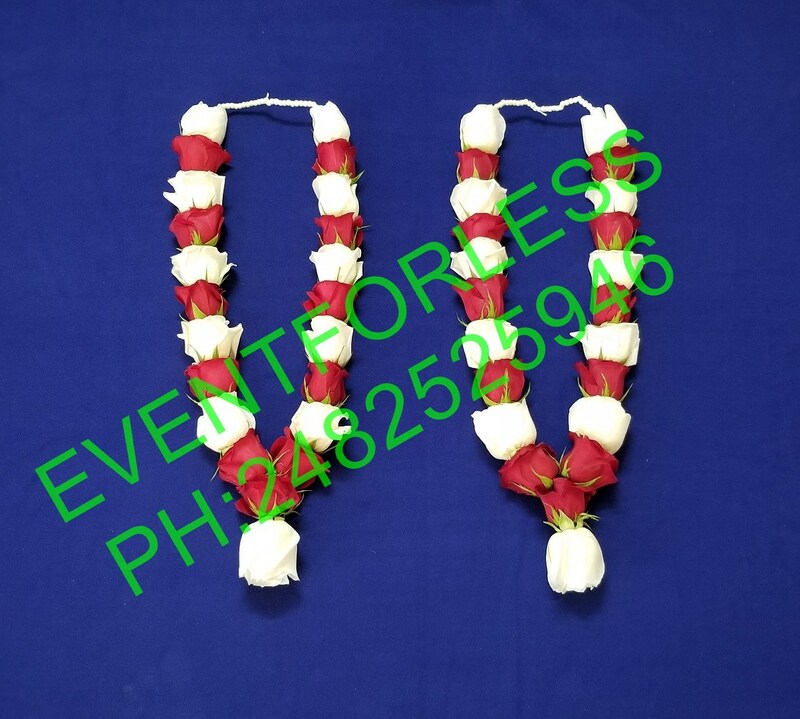 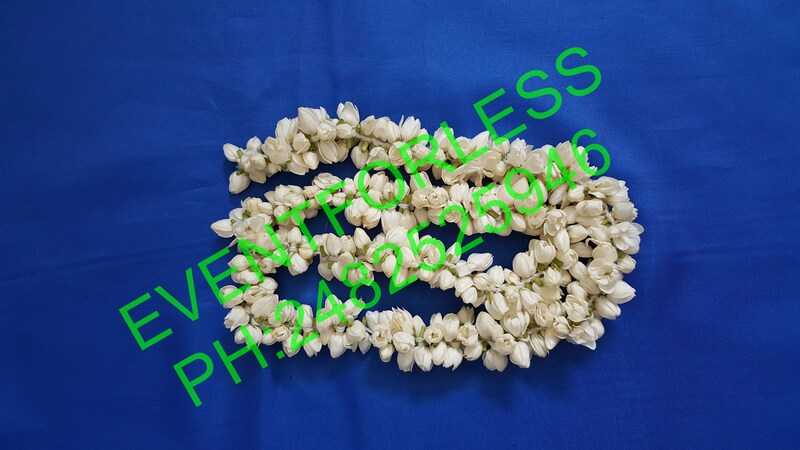 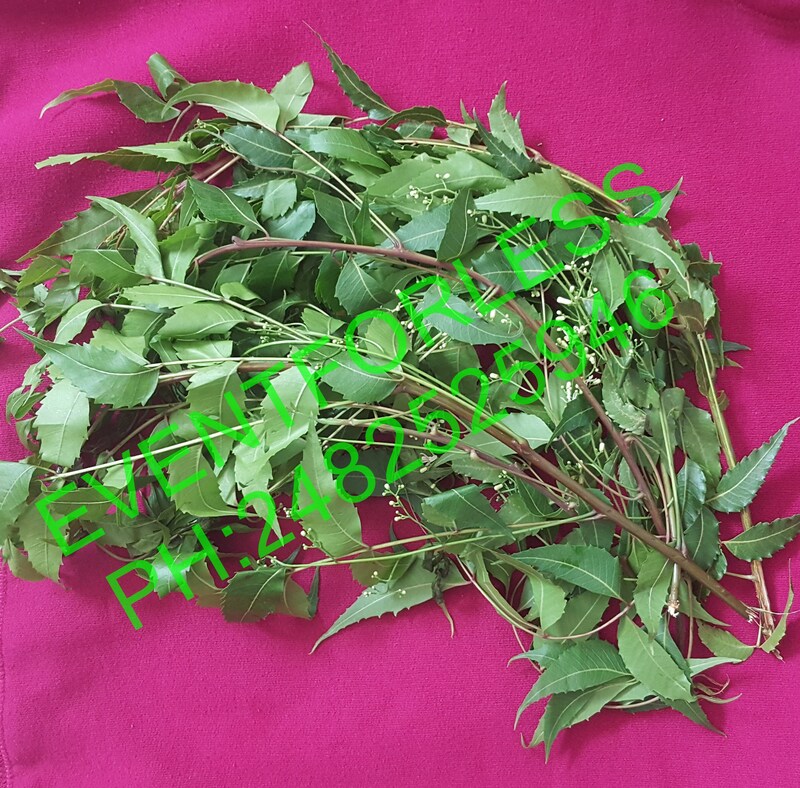 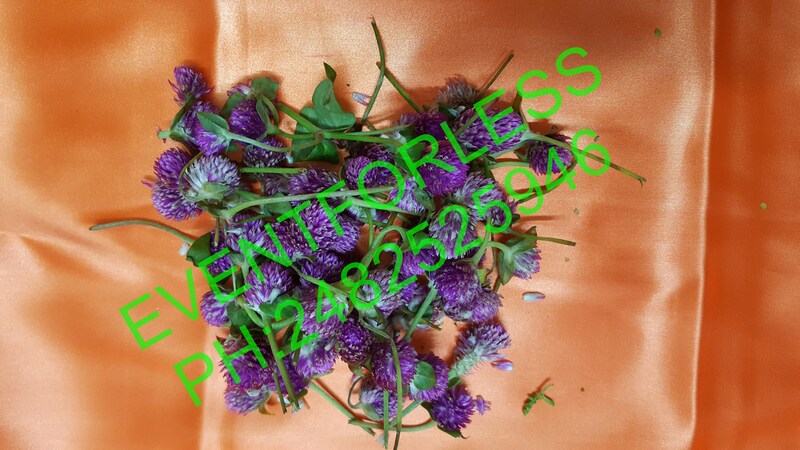 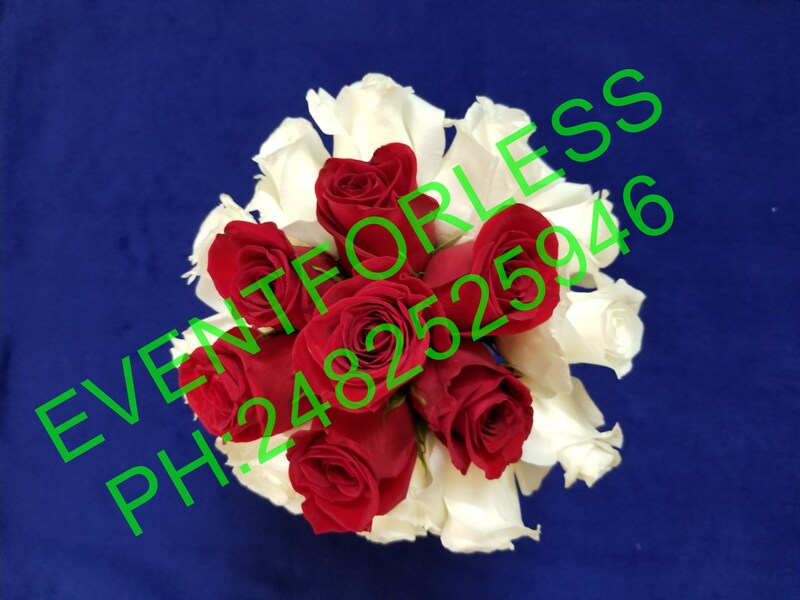 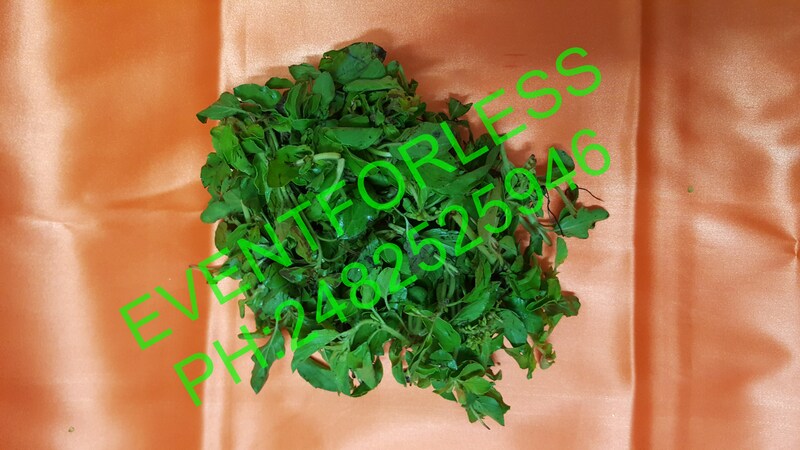 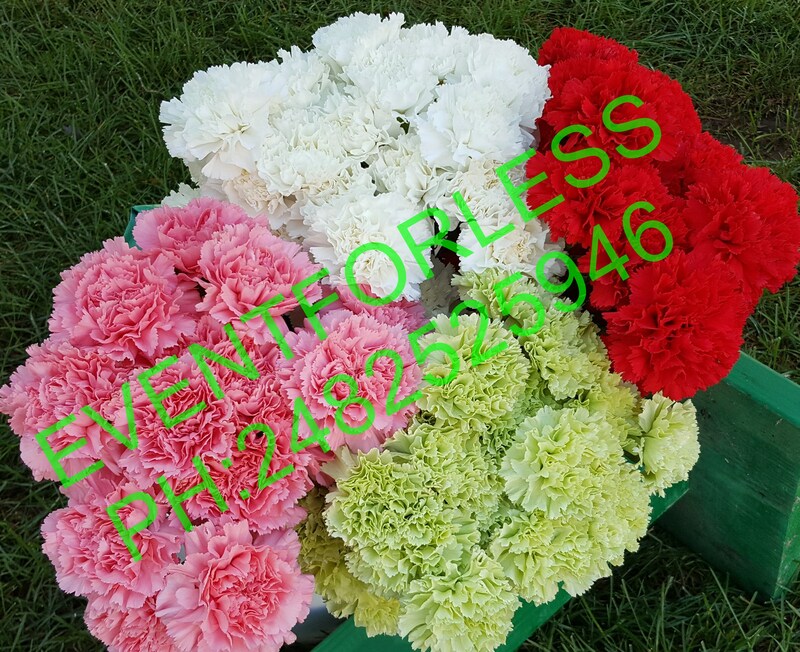 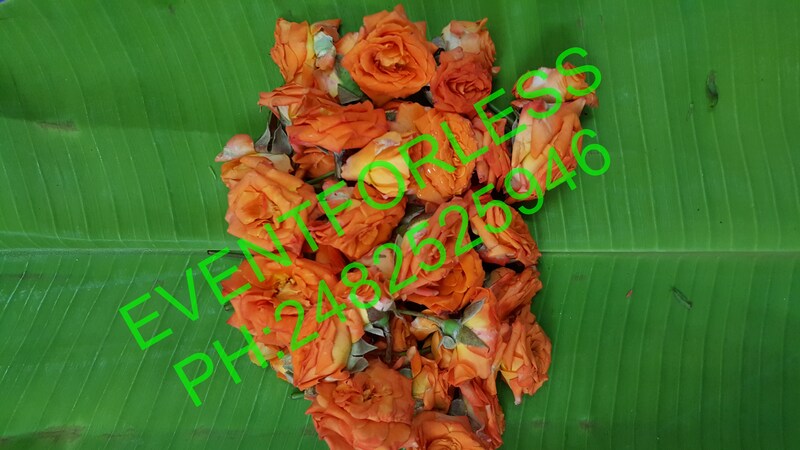 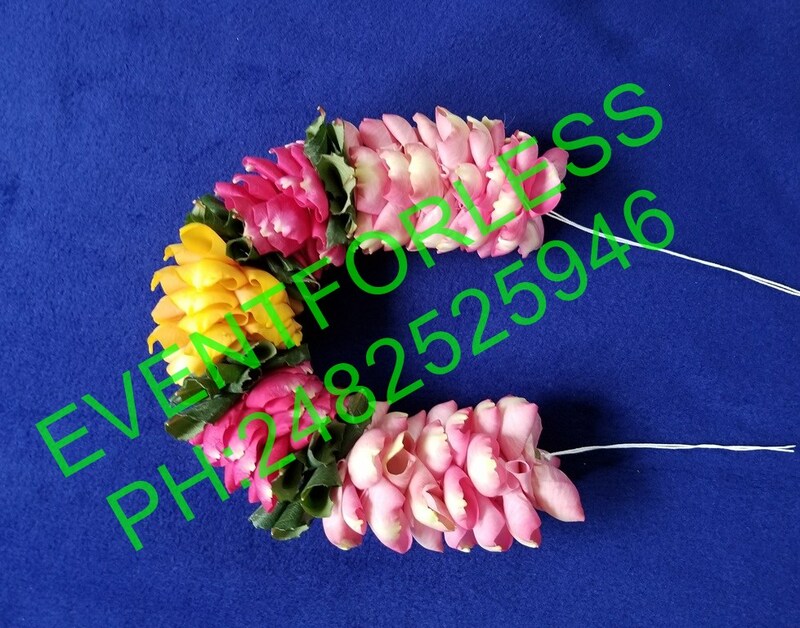 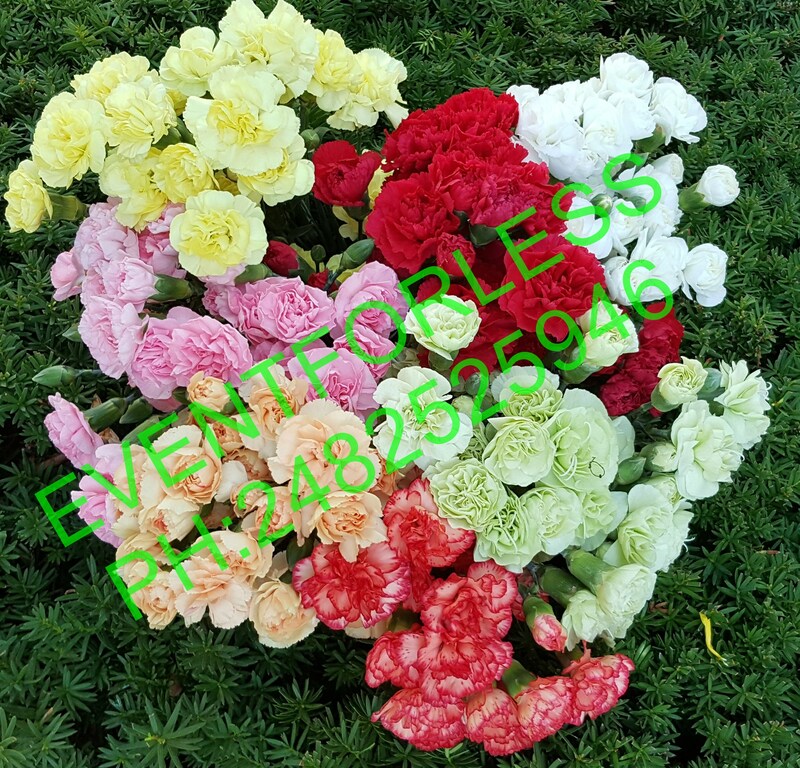 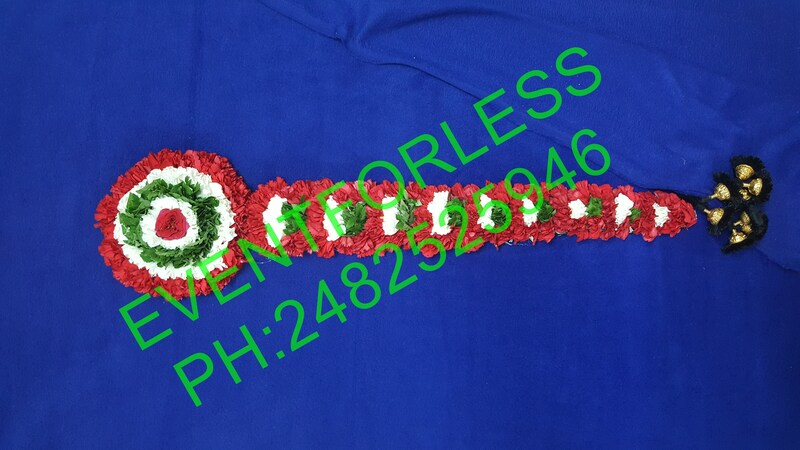 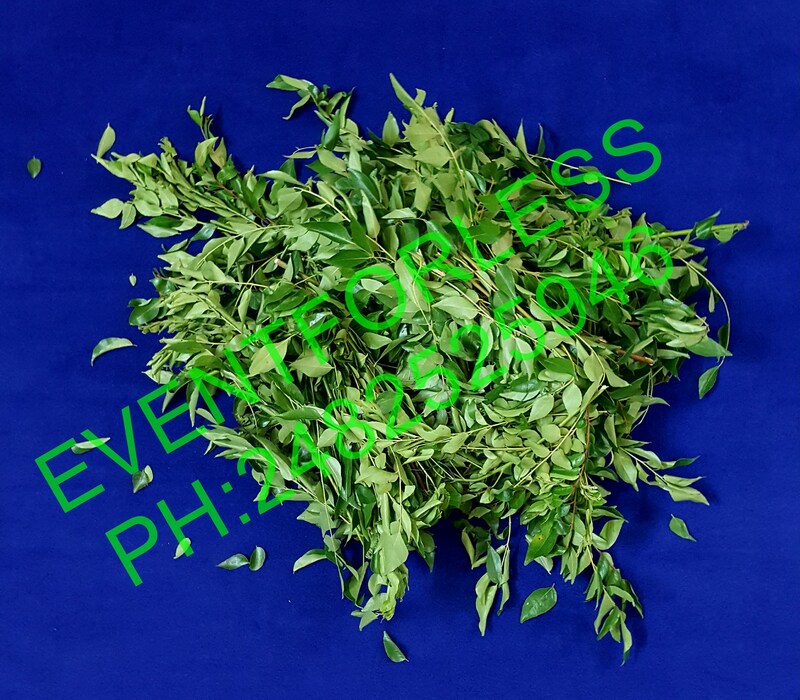 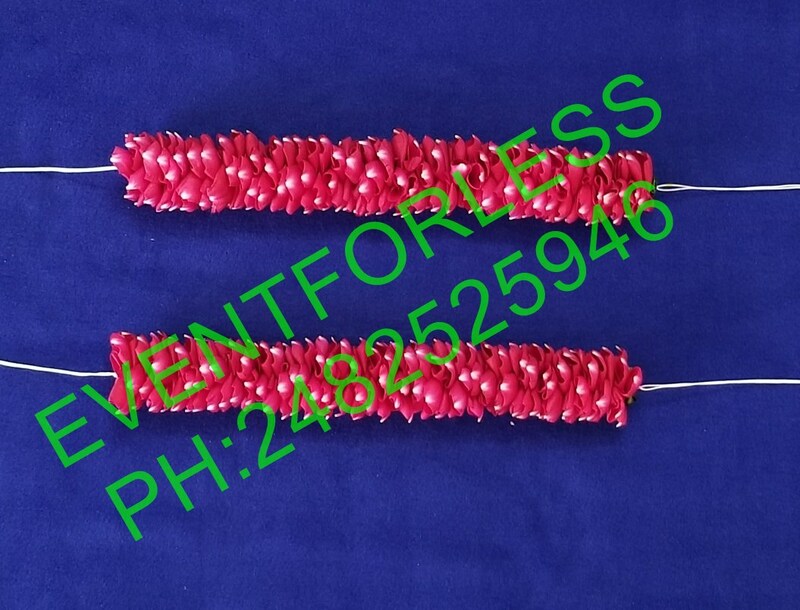 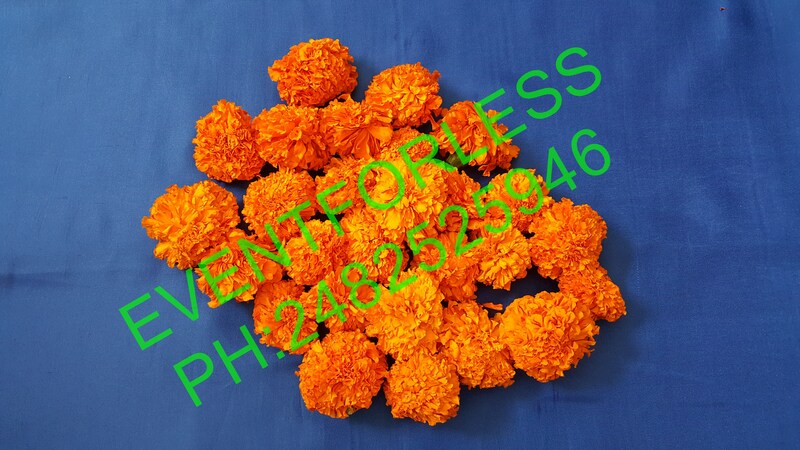 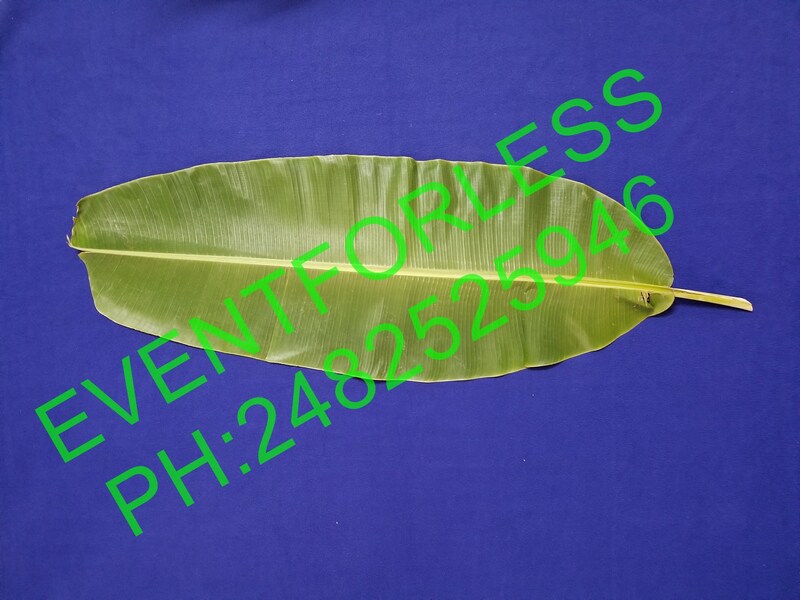 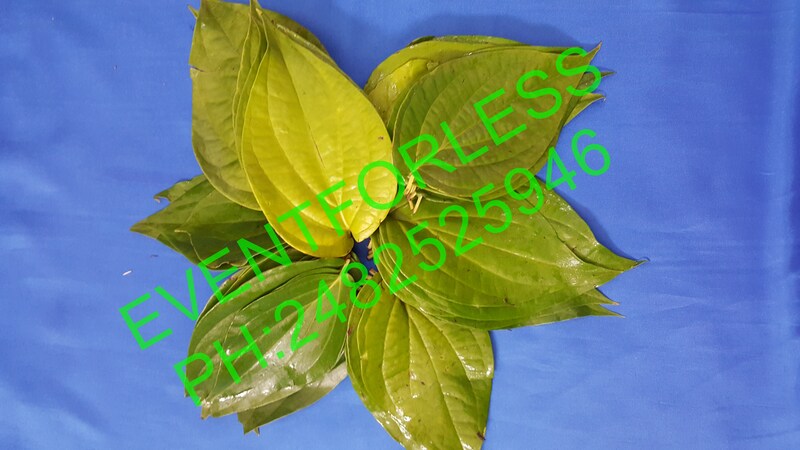 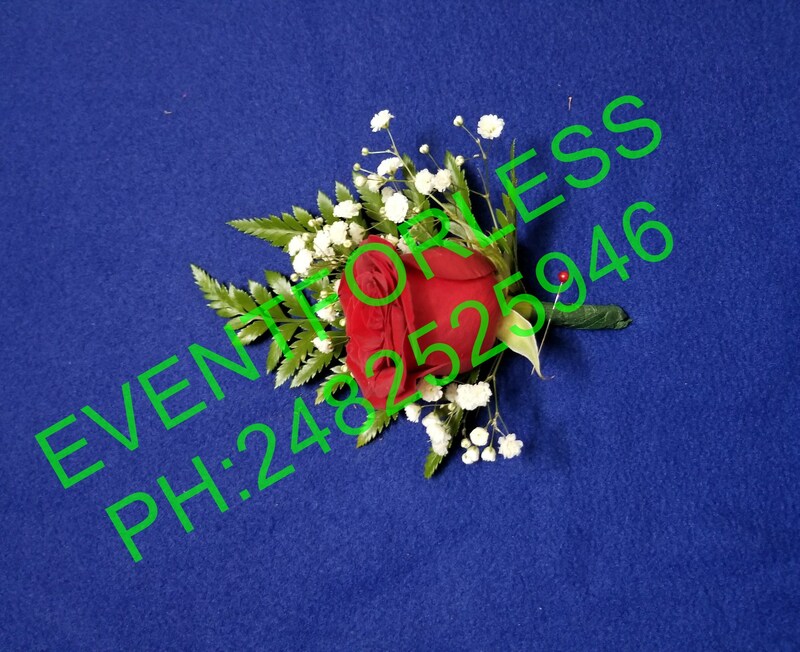 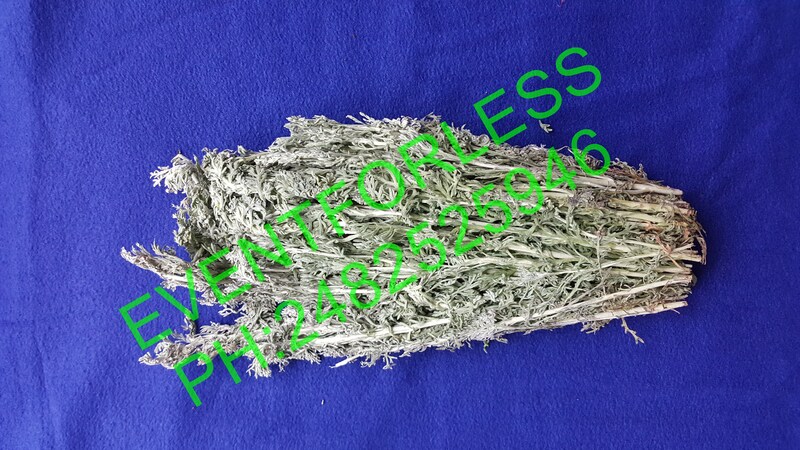 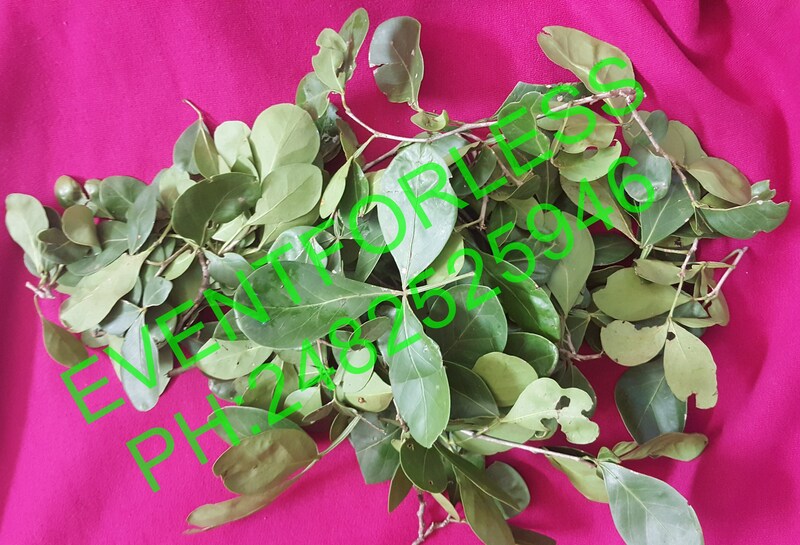 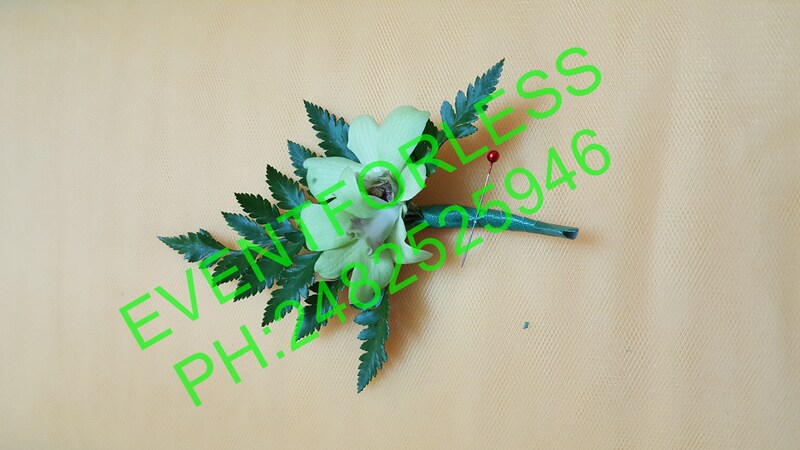 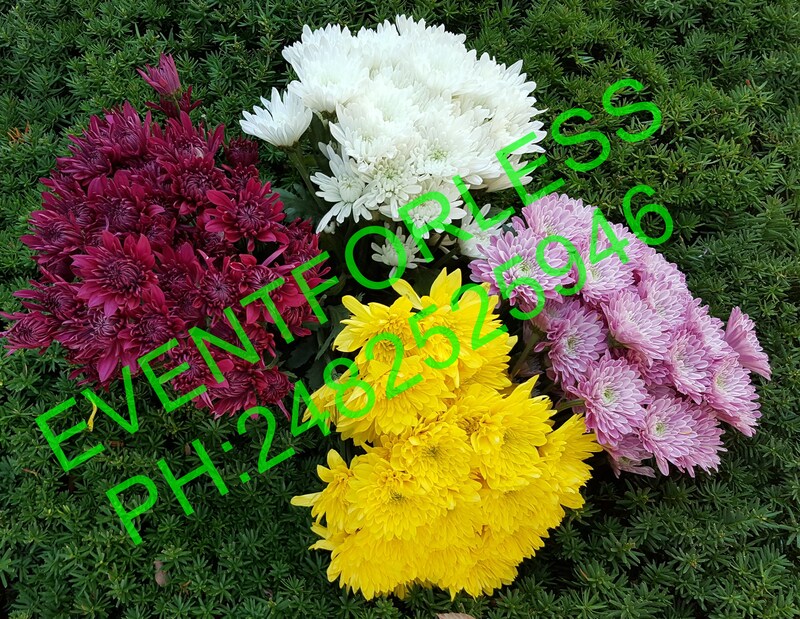 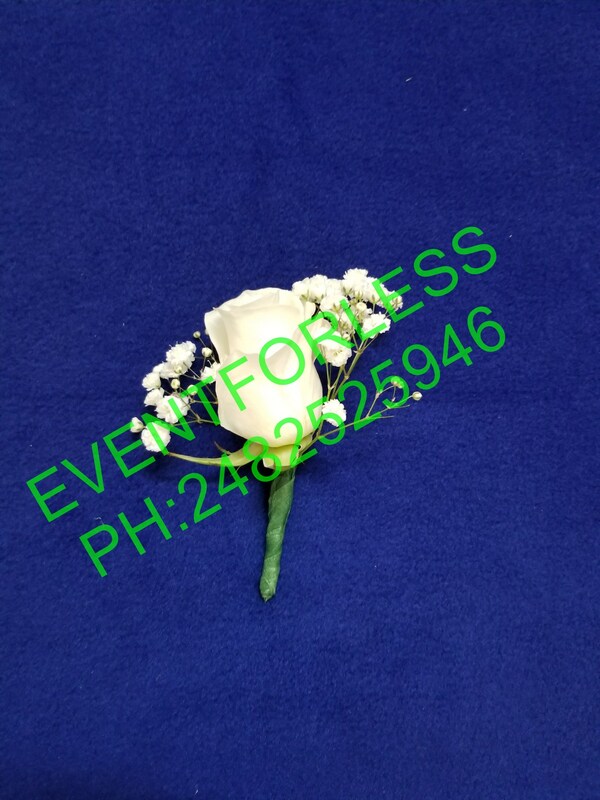 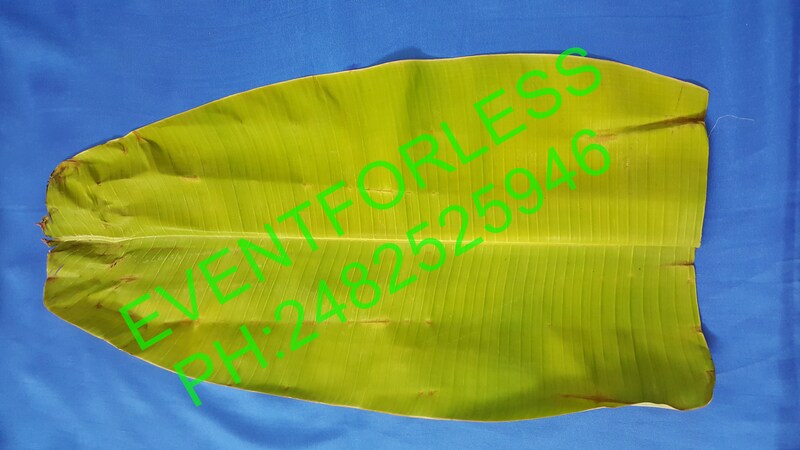 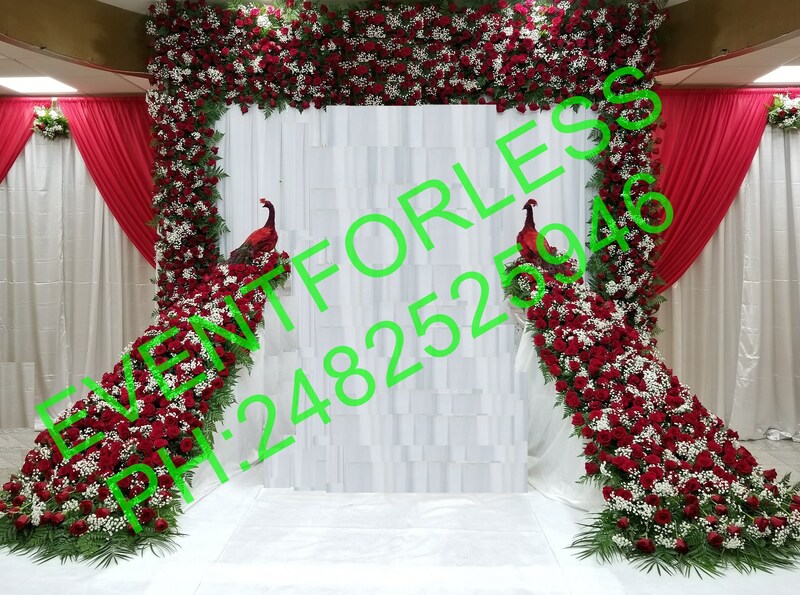 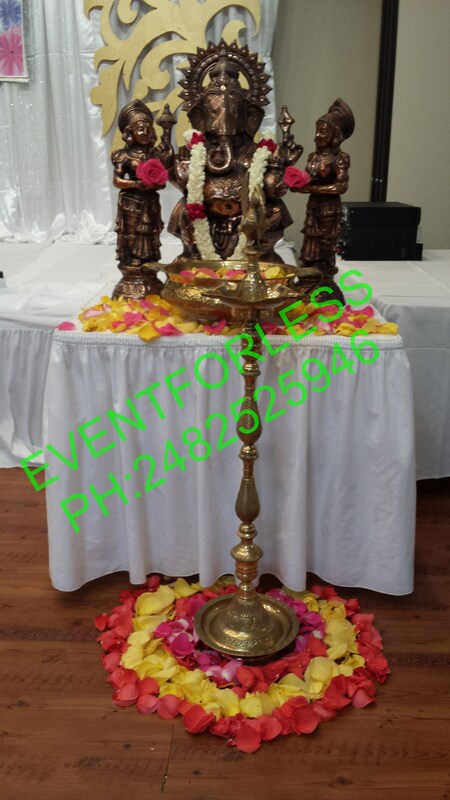 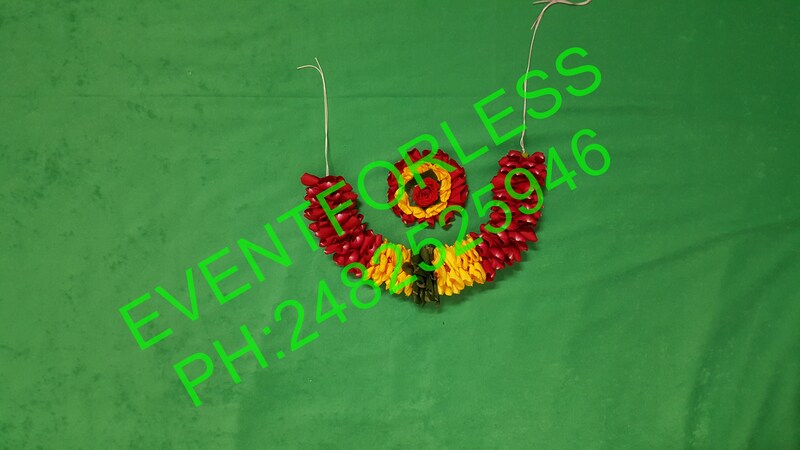 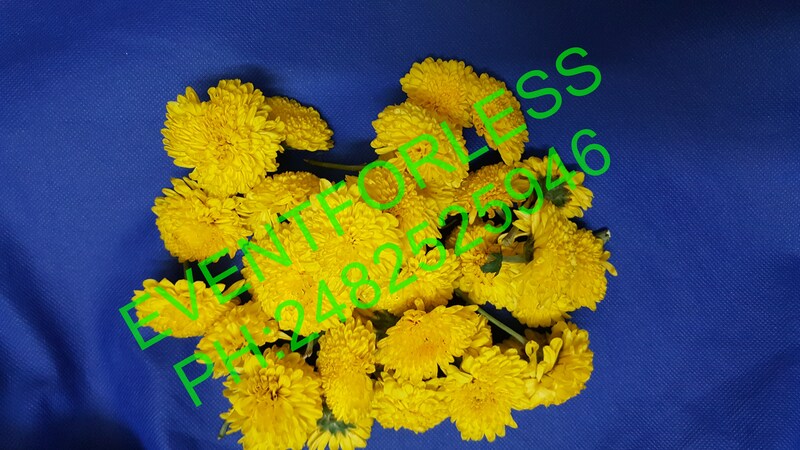 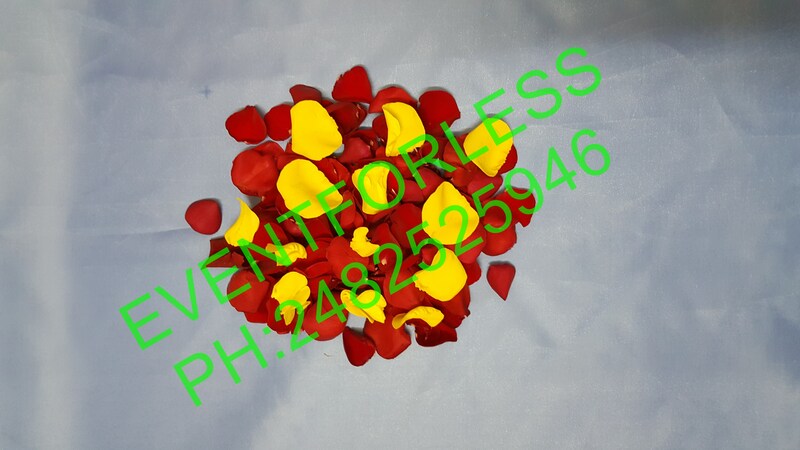 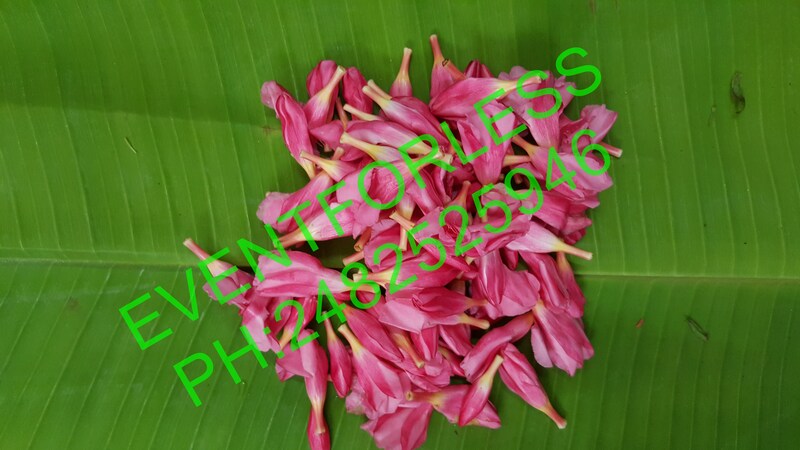 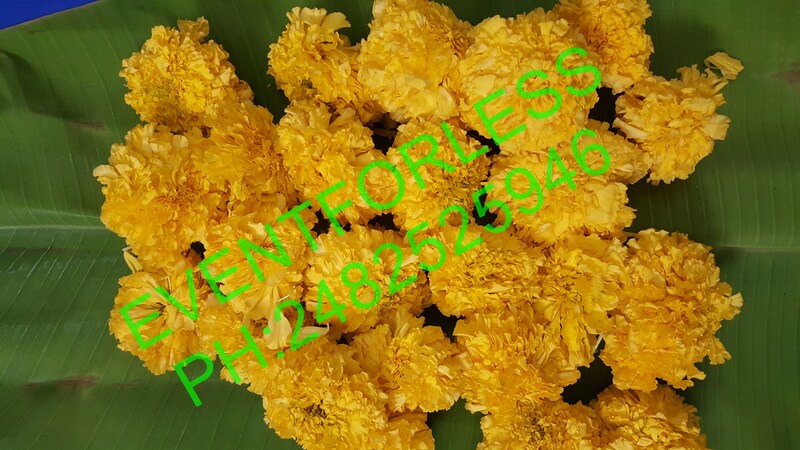 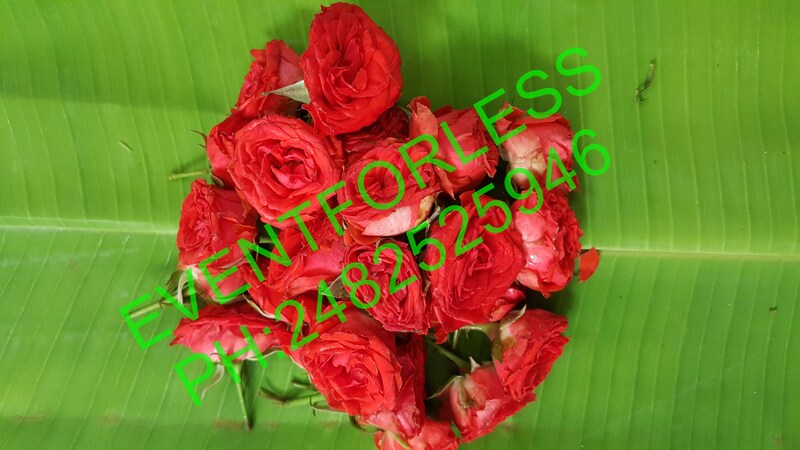 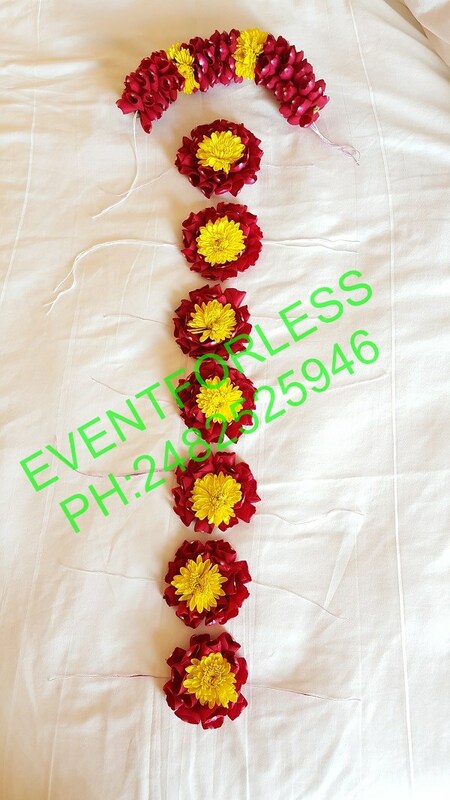 India Flowers and Leaves now at EventForLess. 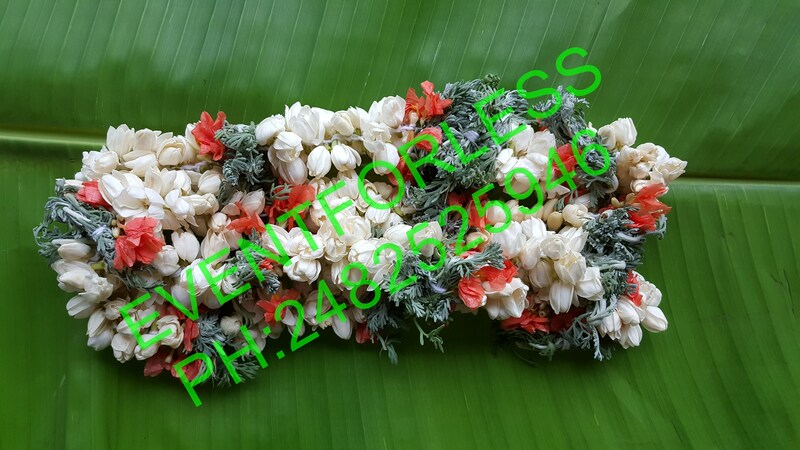 Strings & Loose Flowers: Jasmine/ Malli Puvvulu/Mogra, Mullai/Virajaji , Kanakambaralu, Lilly, Arali (Ganneru), Button Roses, Mary Gold, Lotus, Mums, Carnations, Lillys, Roses and different local flowers. 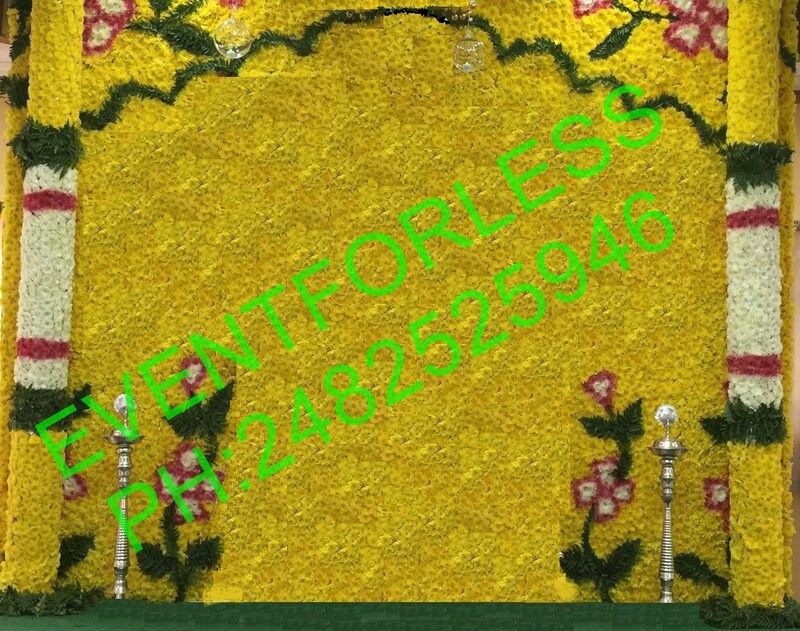 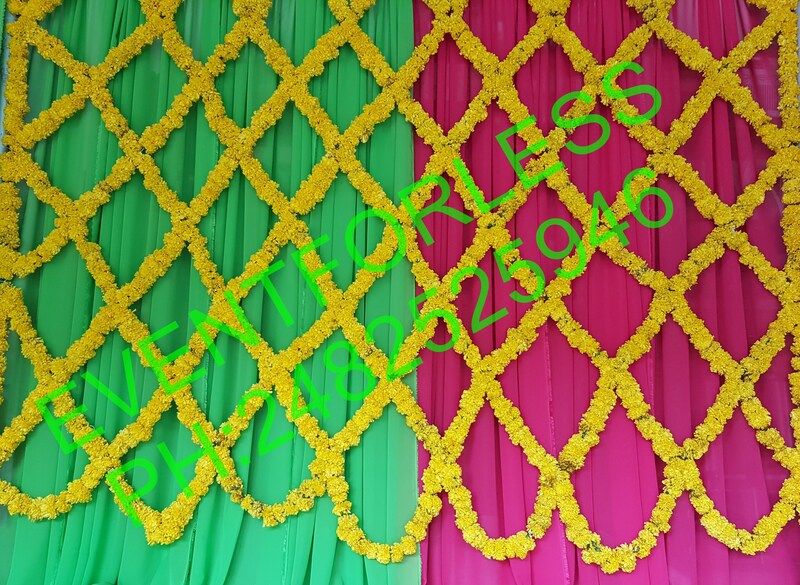 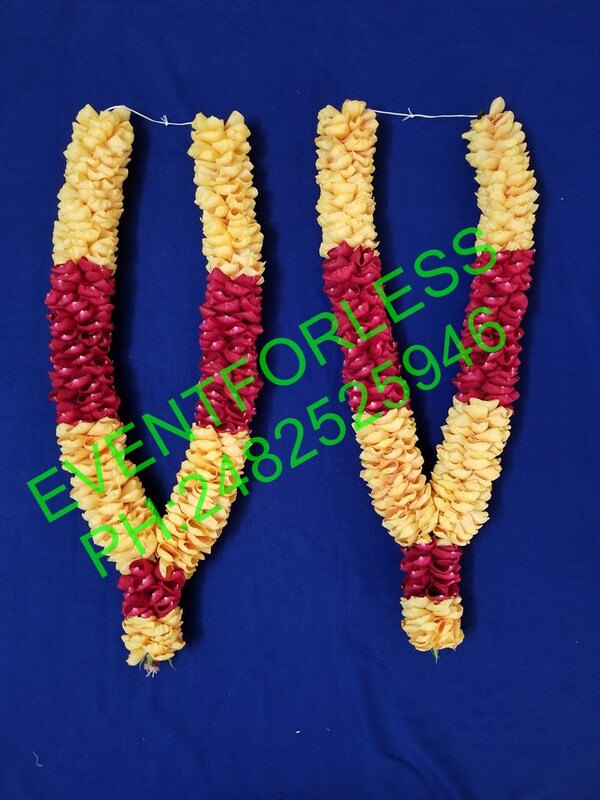 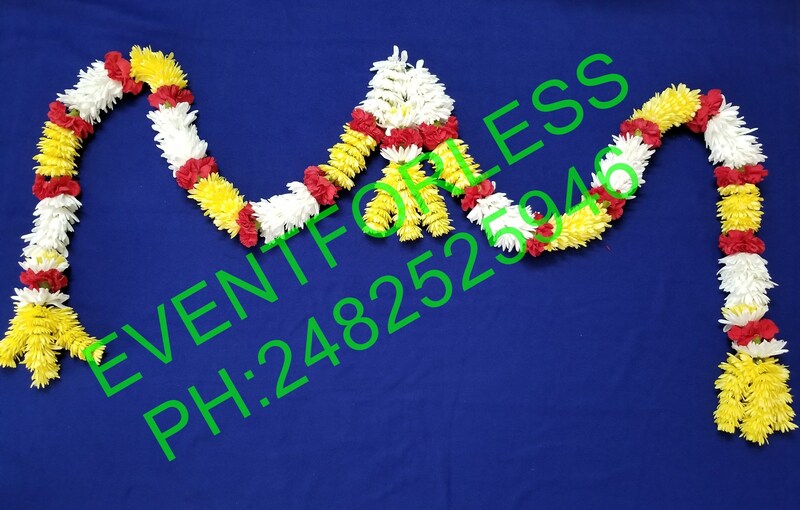 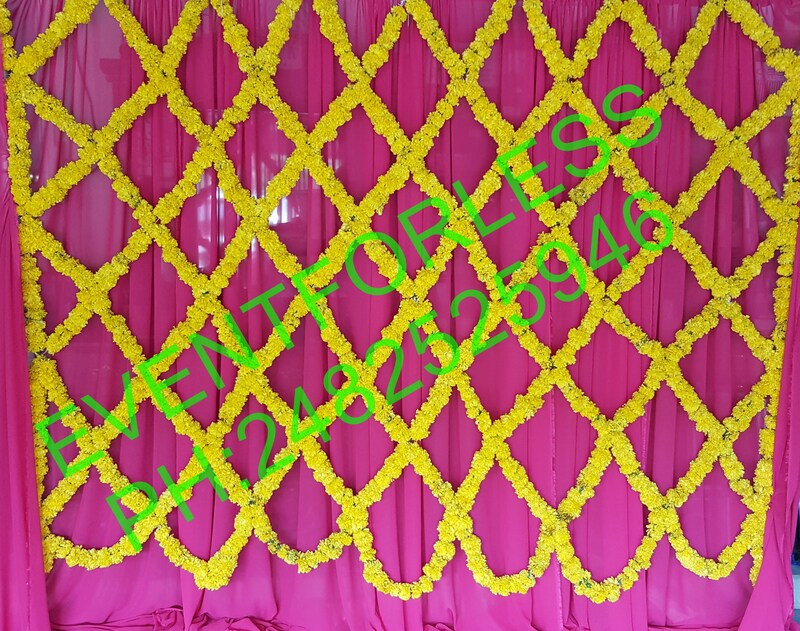 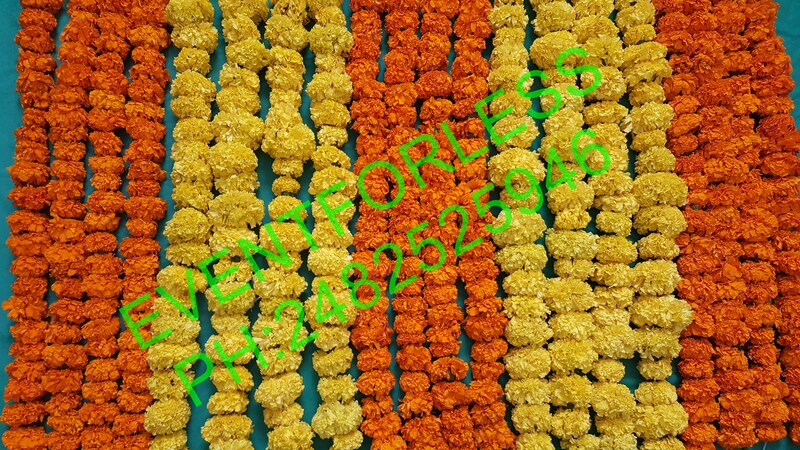 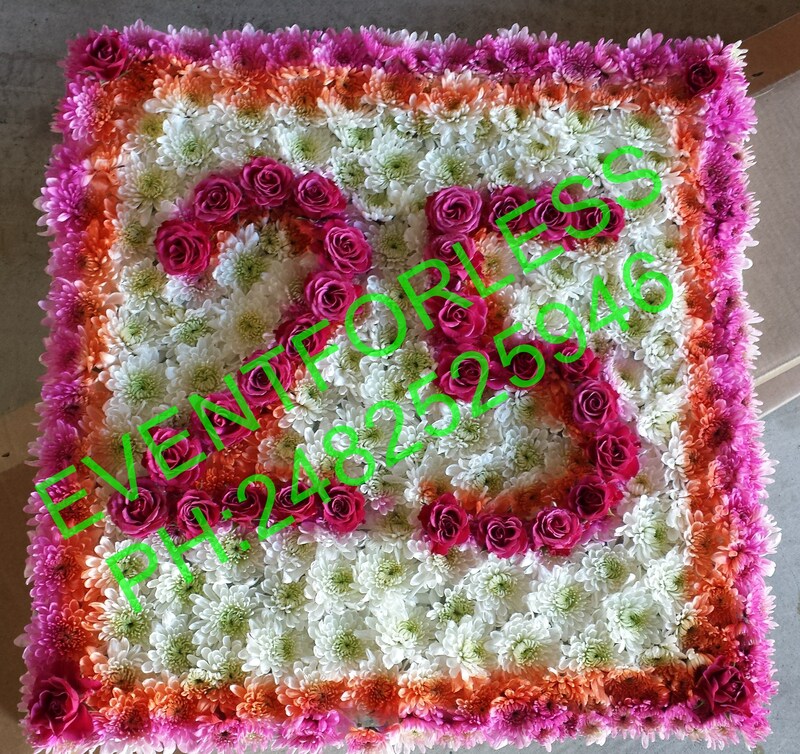 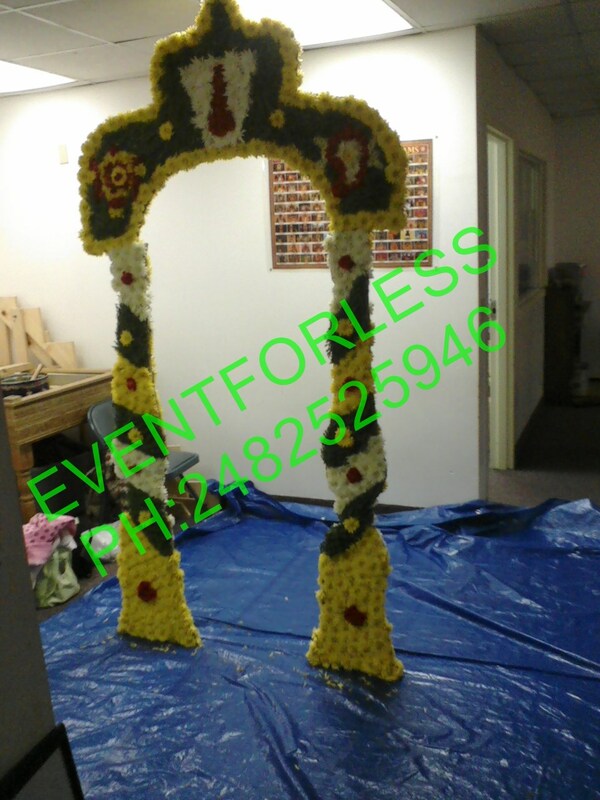 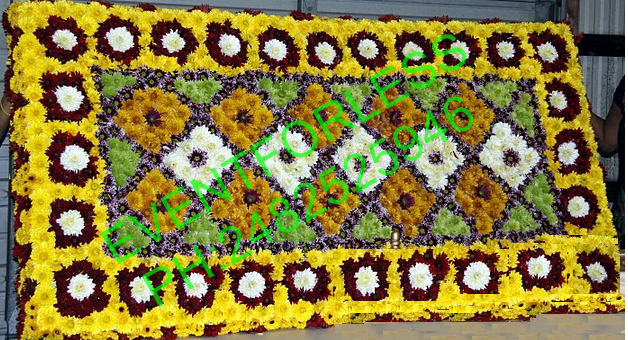 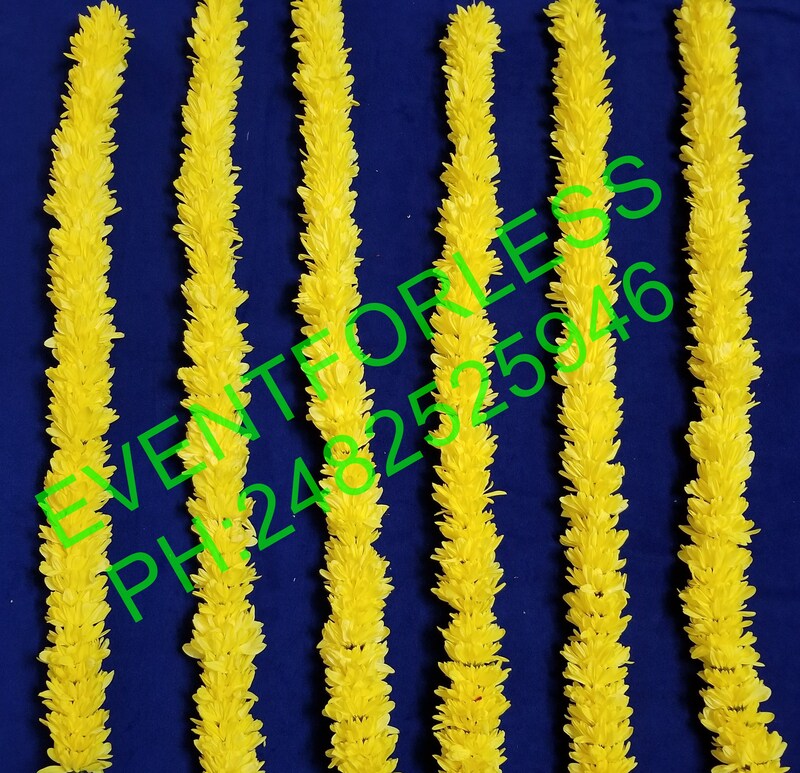 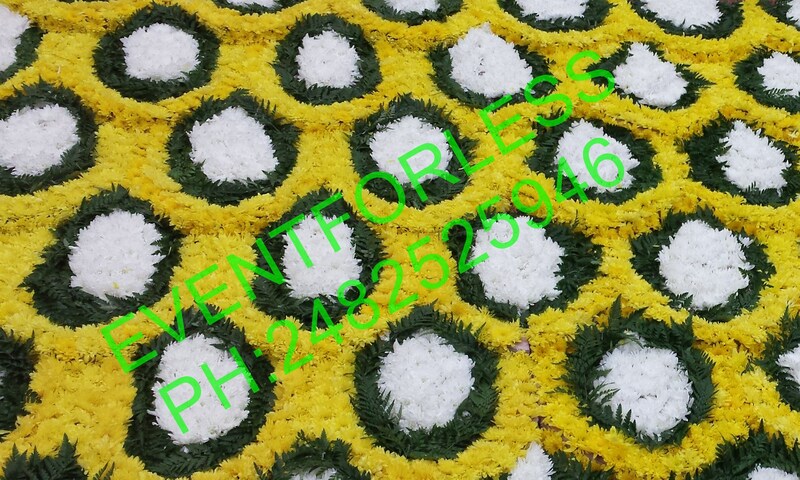 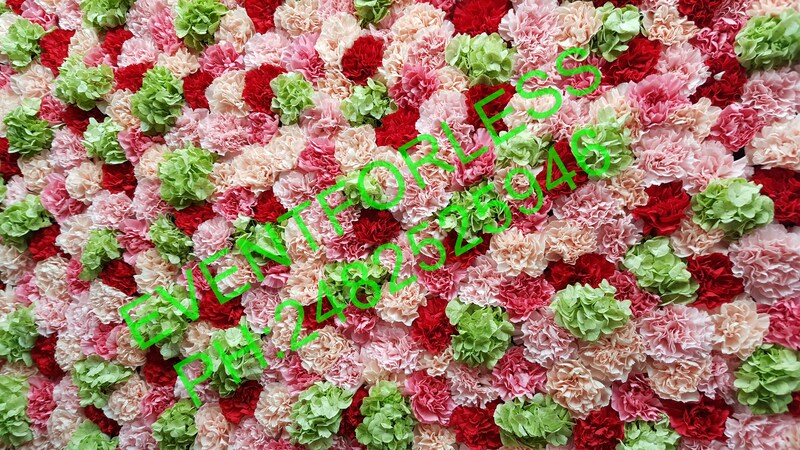 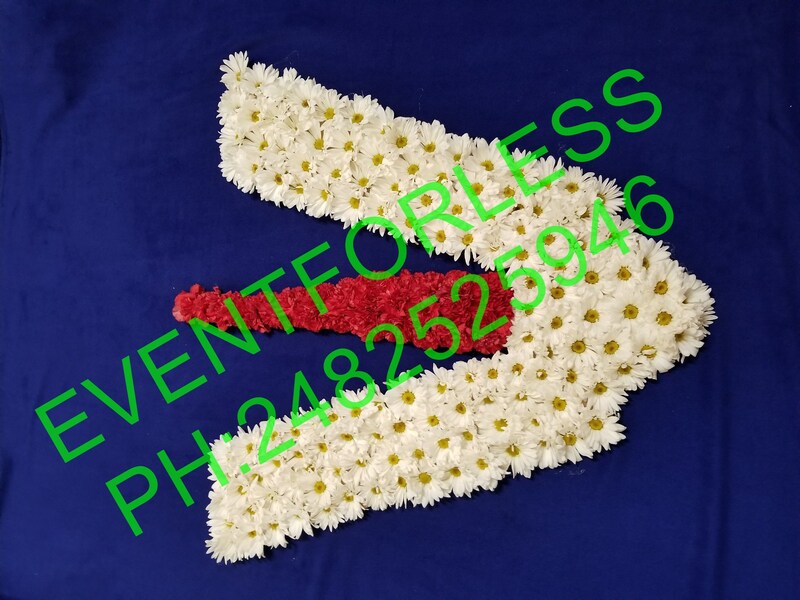 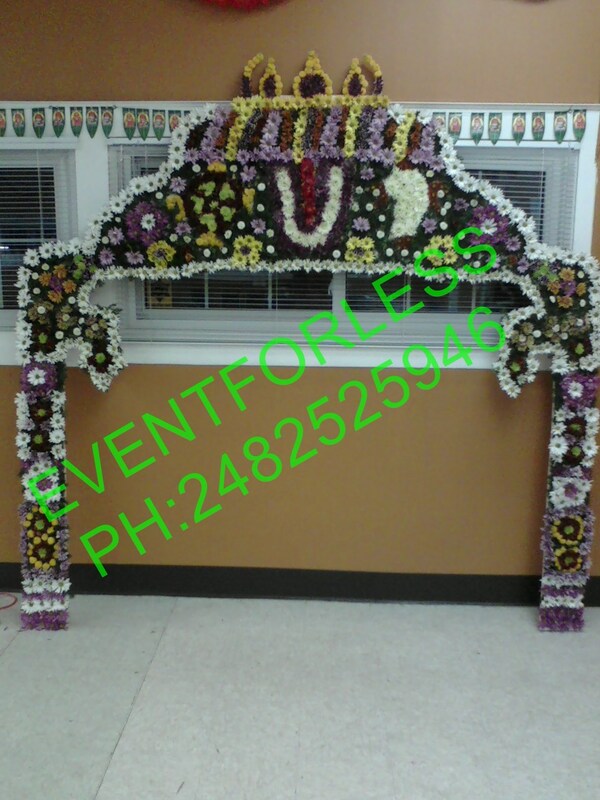 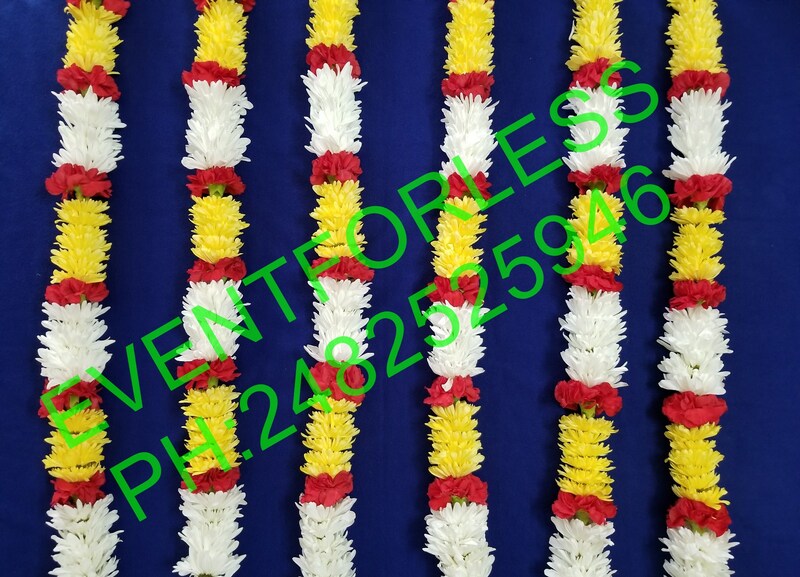 Flower Rangoli & Name Boards: We provide Rangoli with all types of fresh flowers. 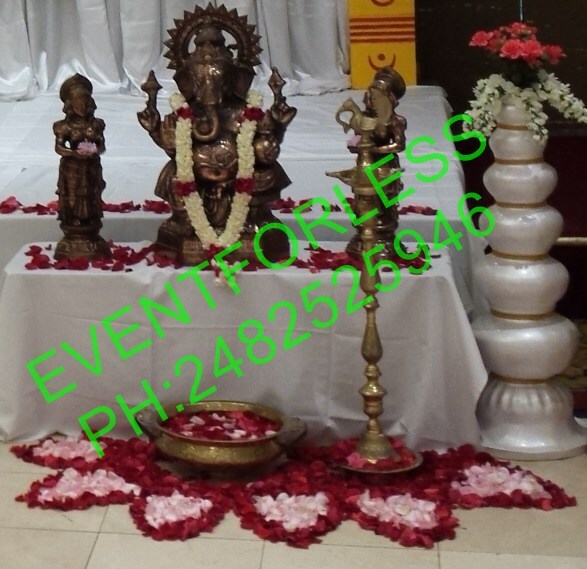 call us for more details. 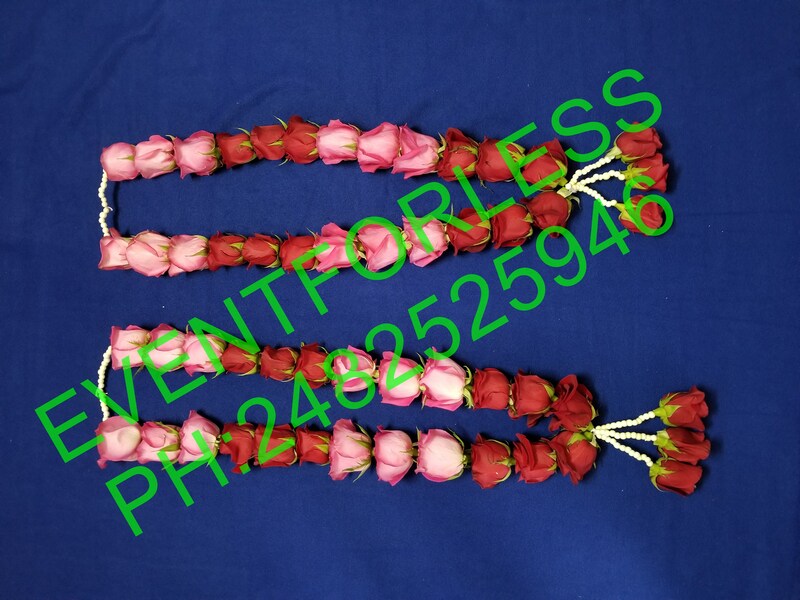 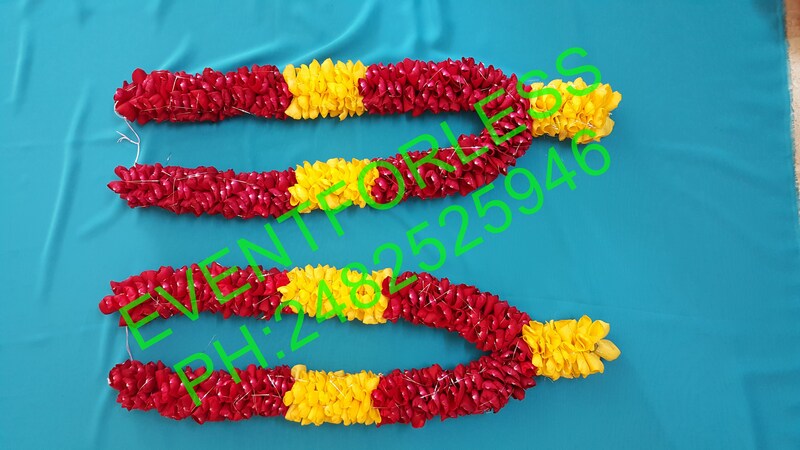 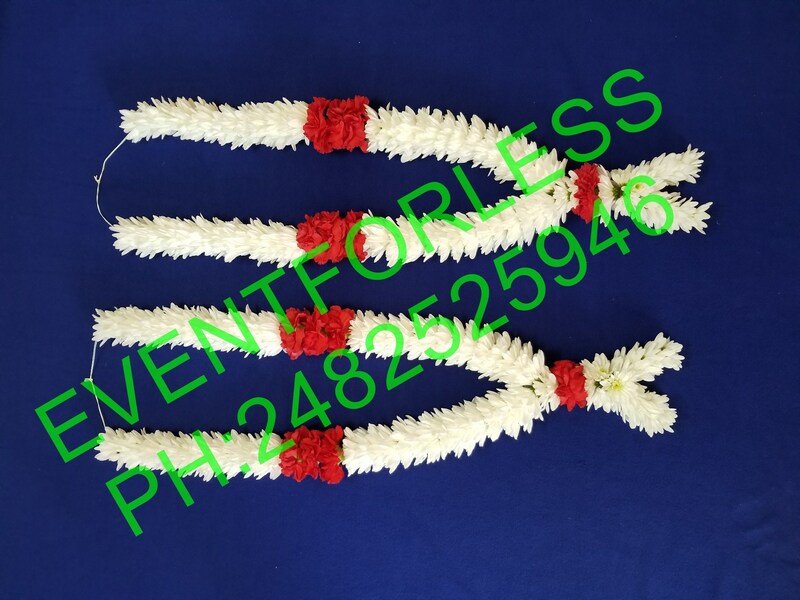 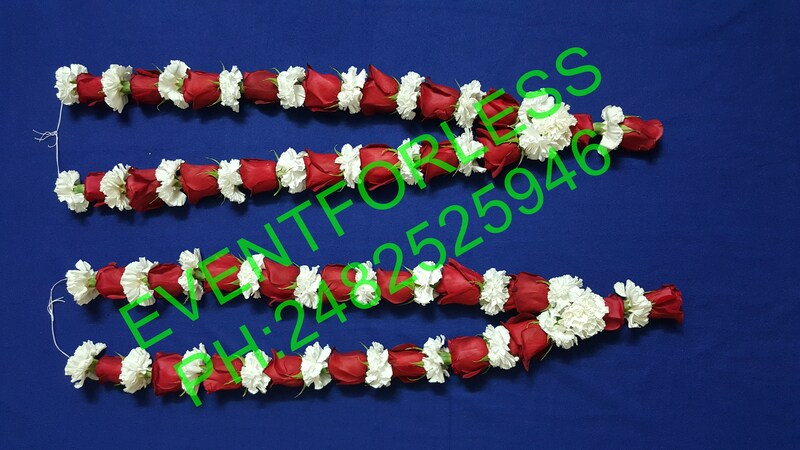 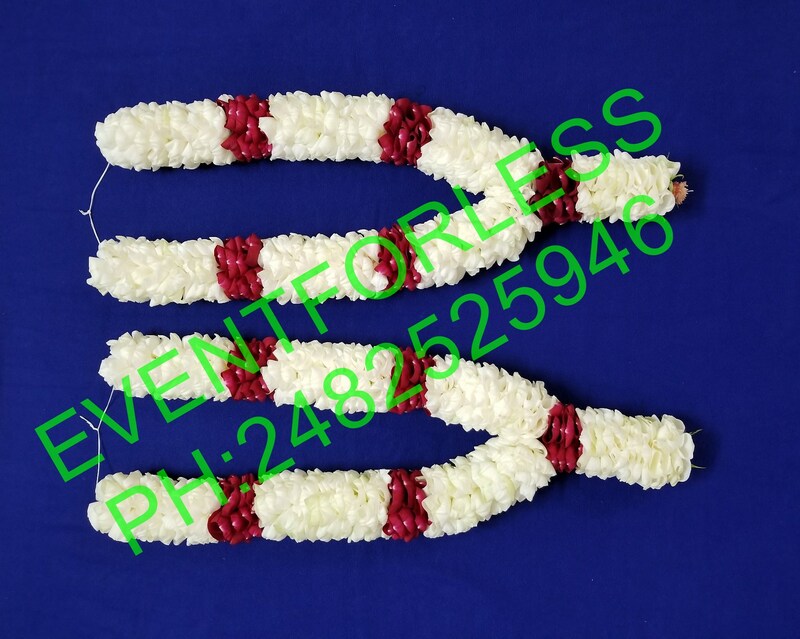 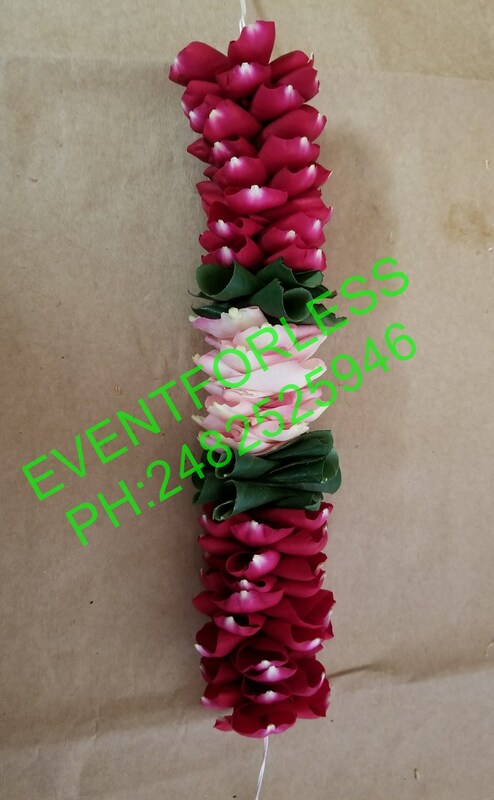 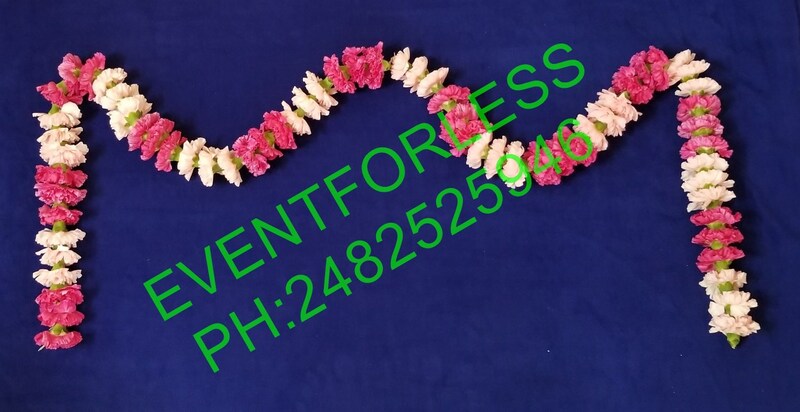 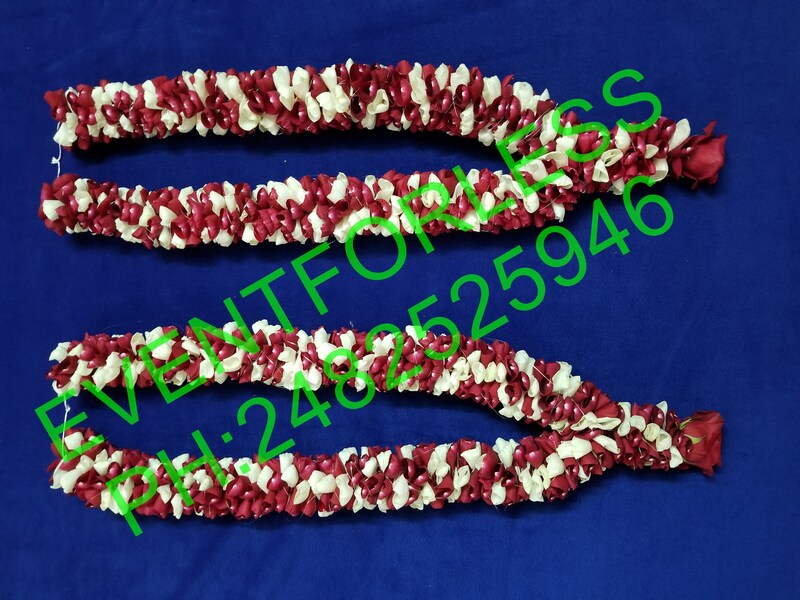 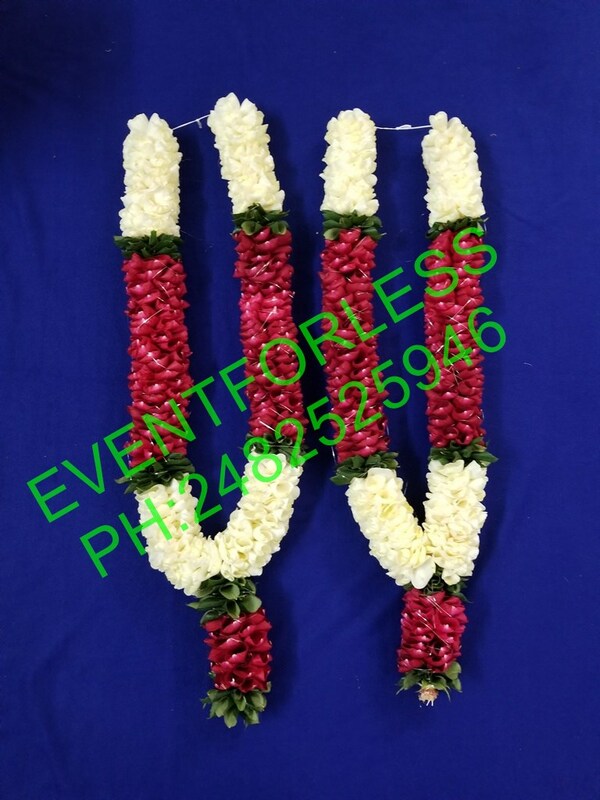 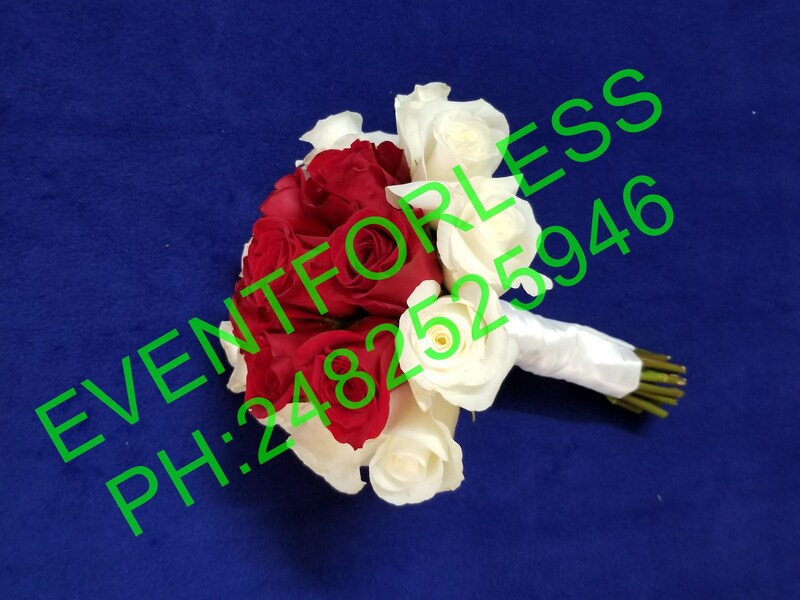 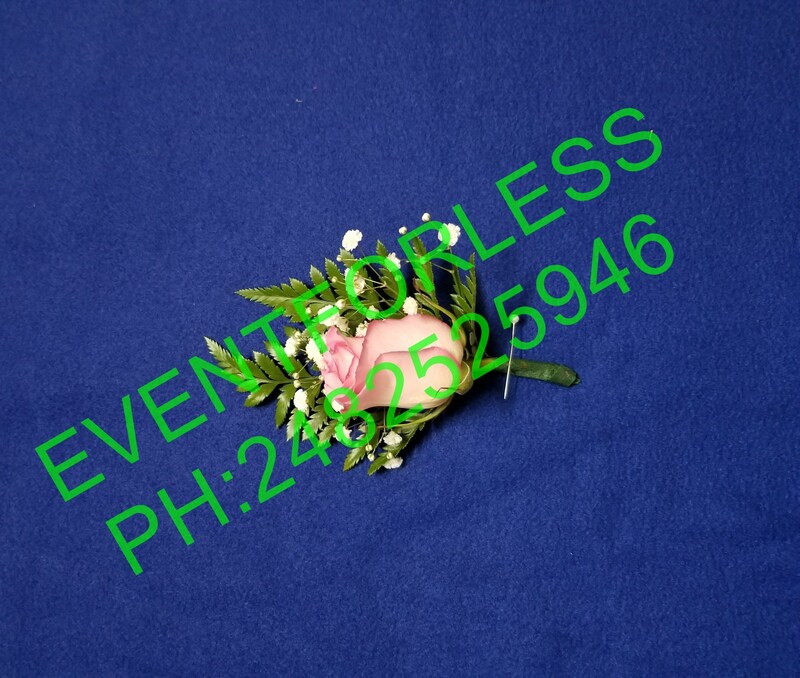 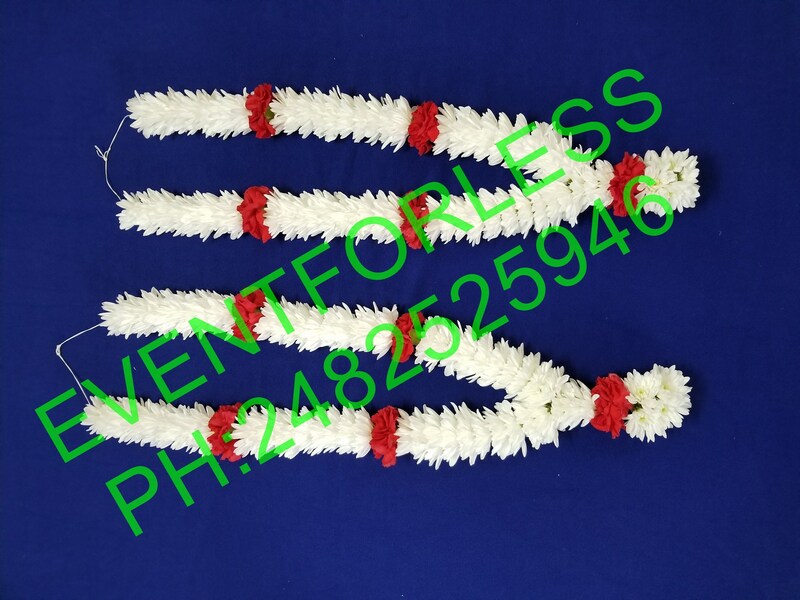 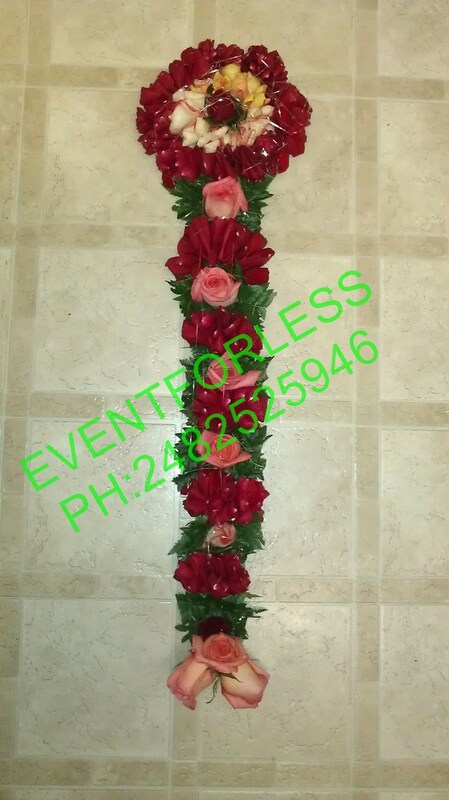 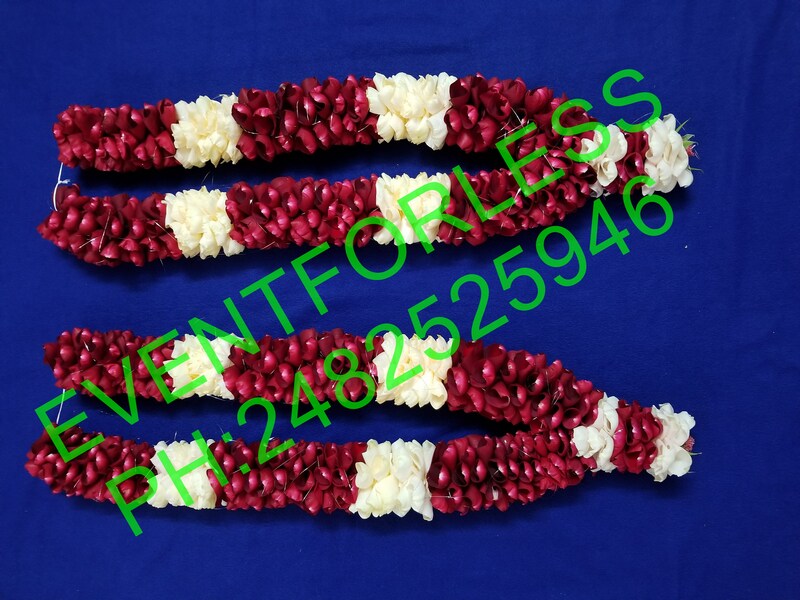 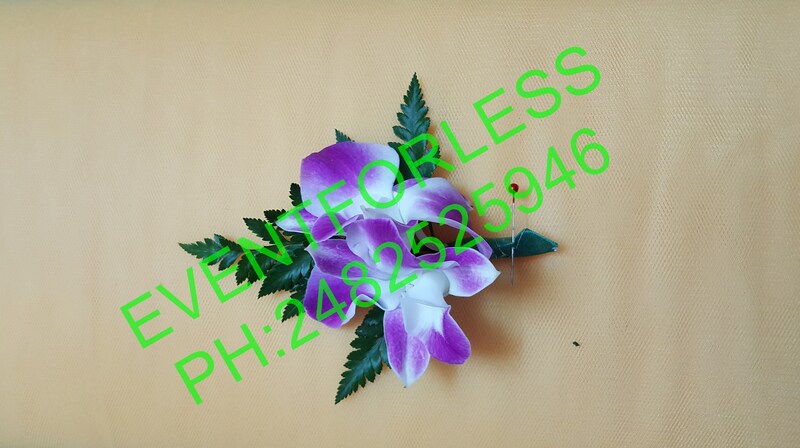 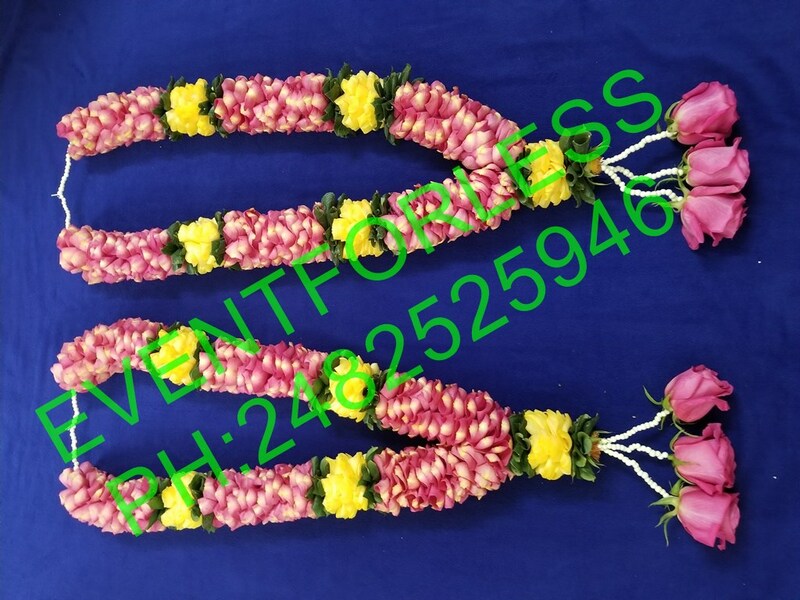 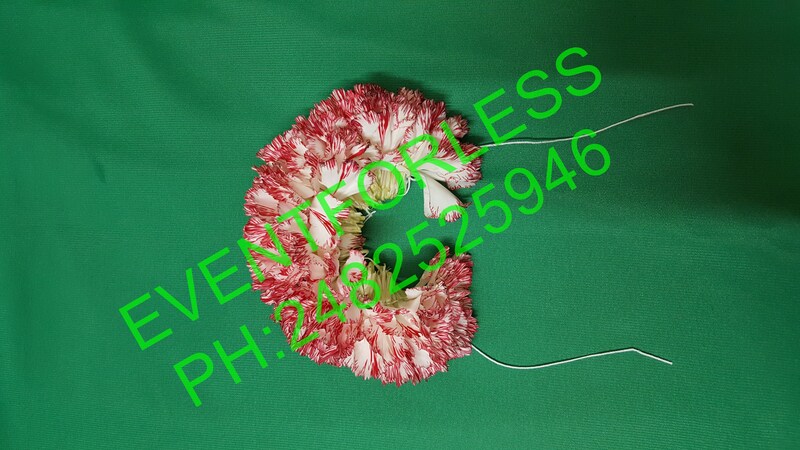 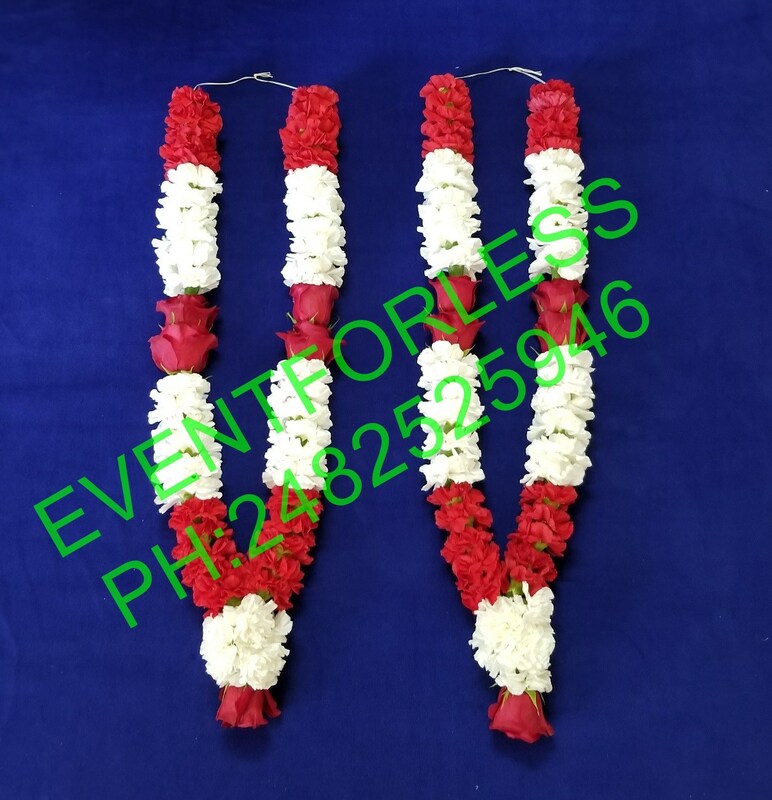 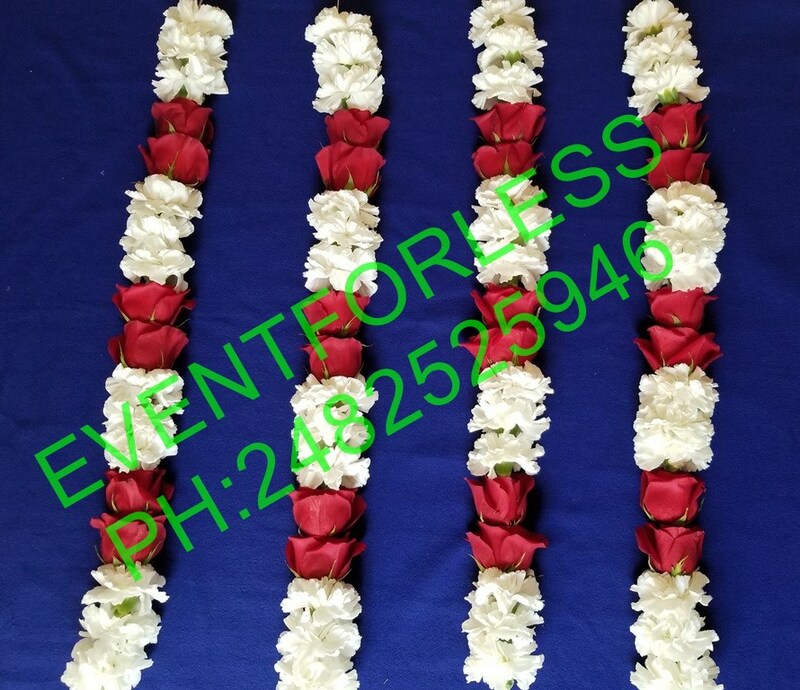 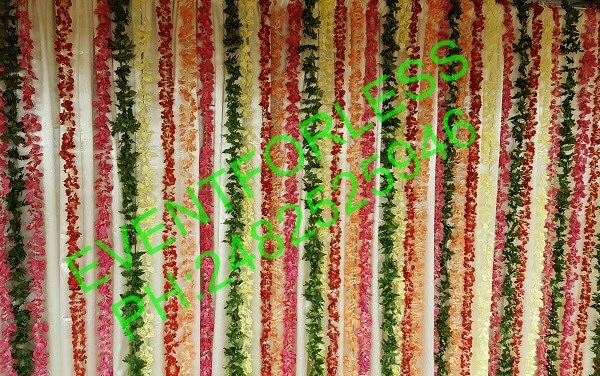 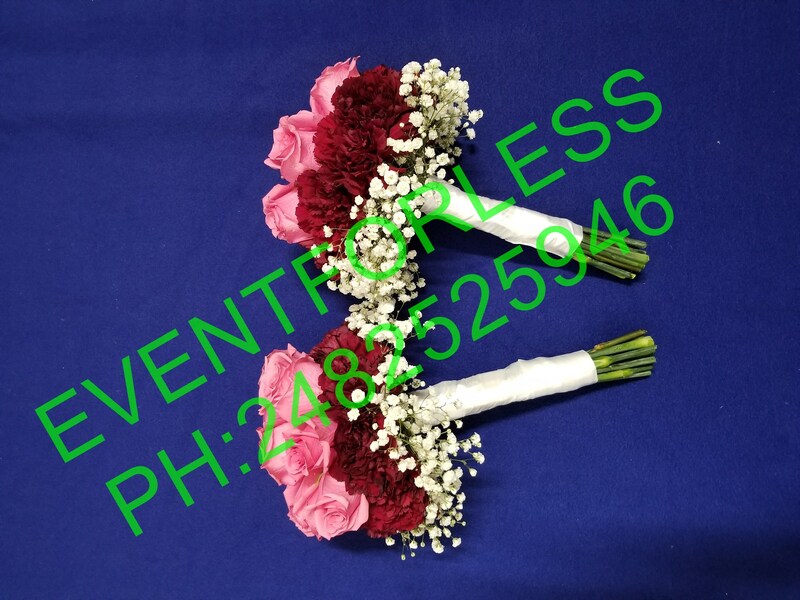 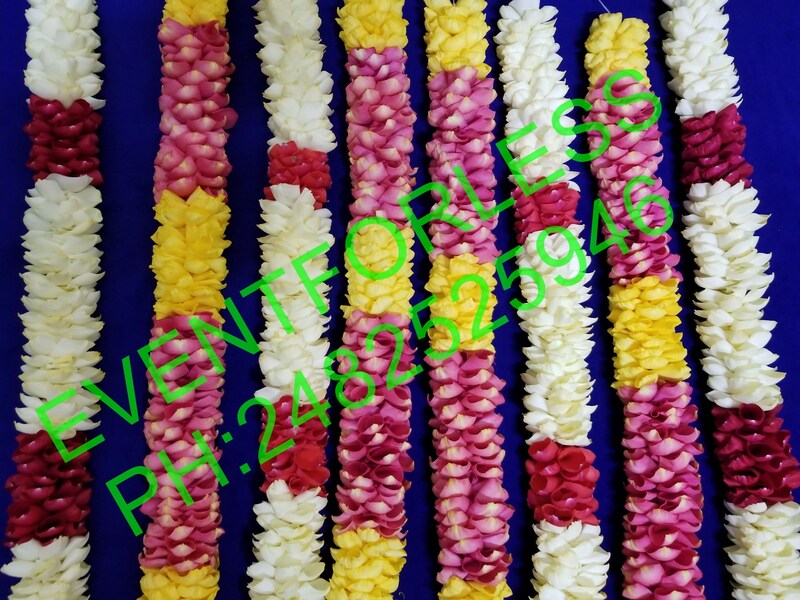 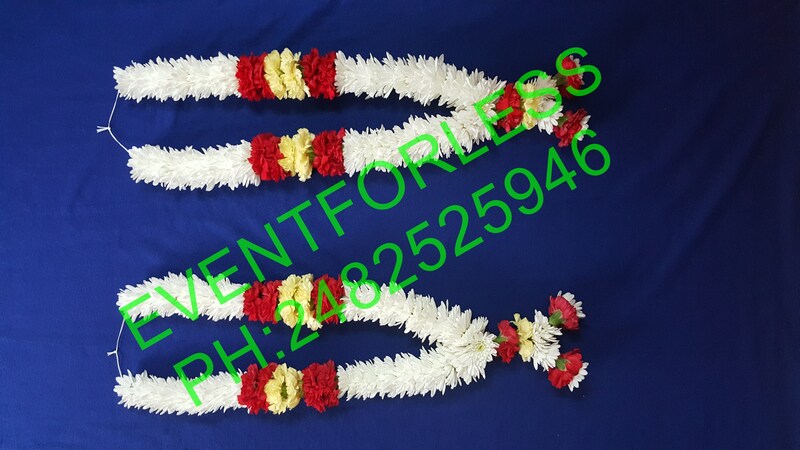 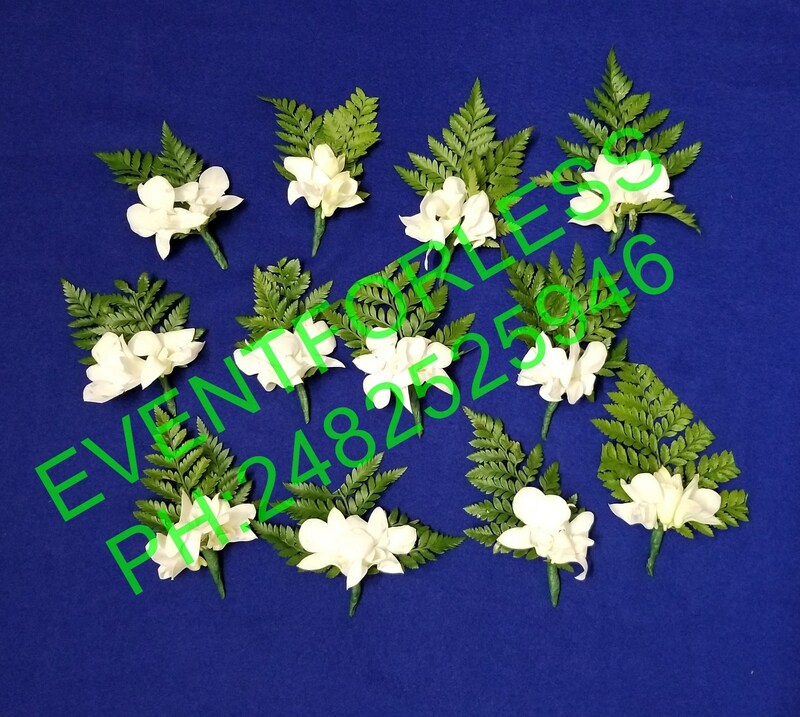 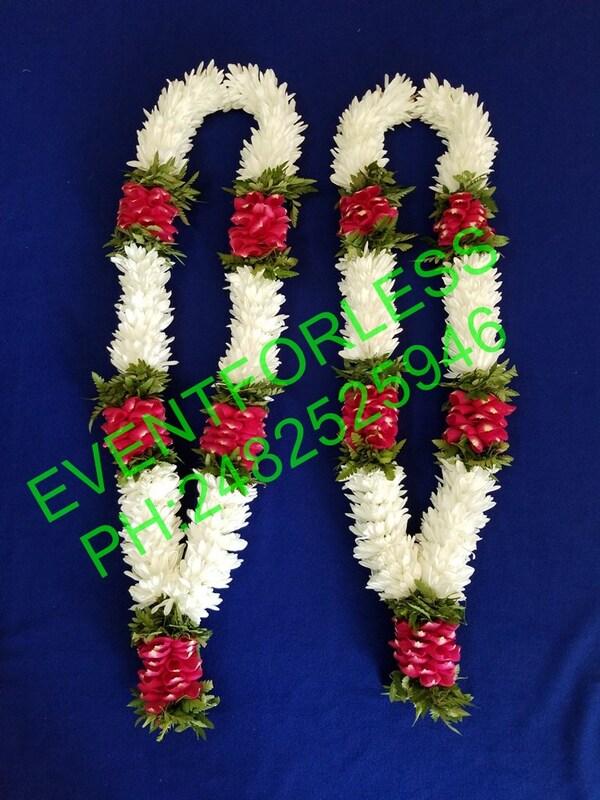 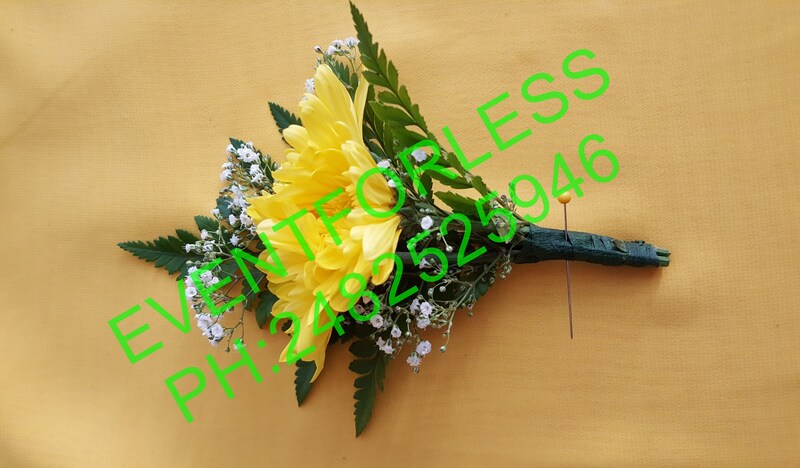 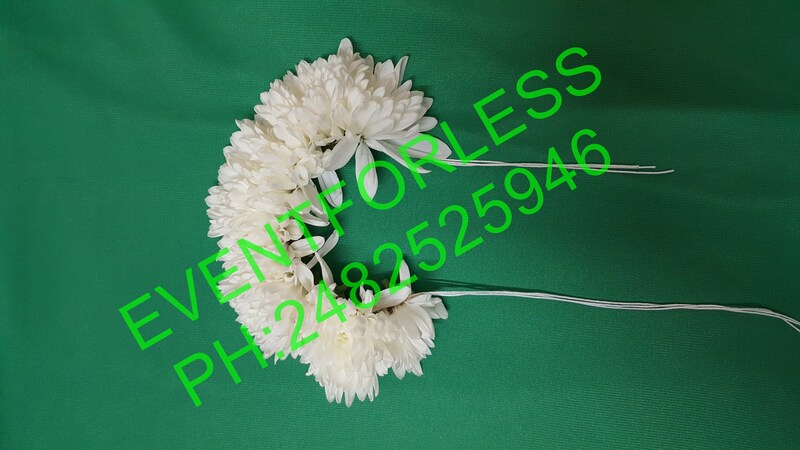 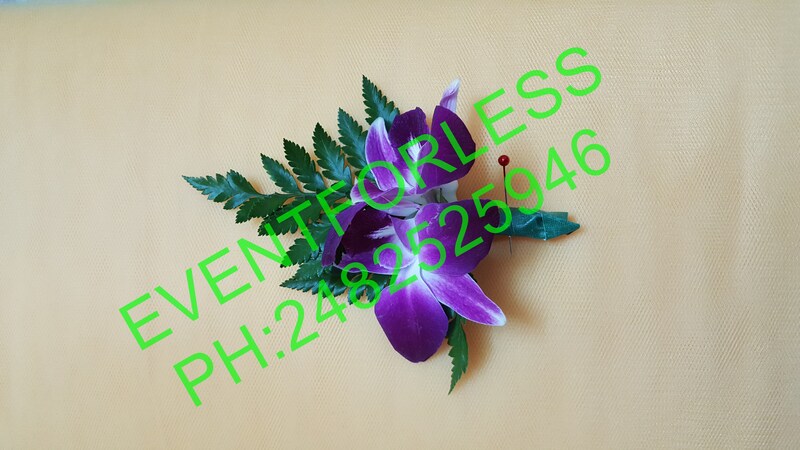 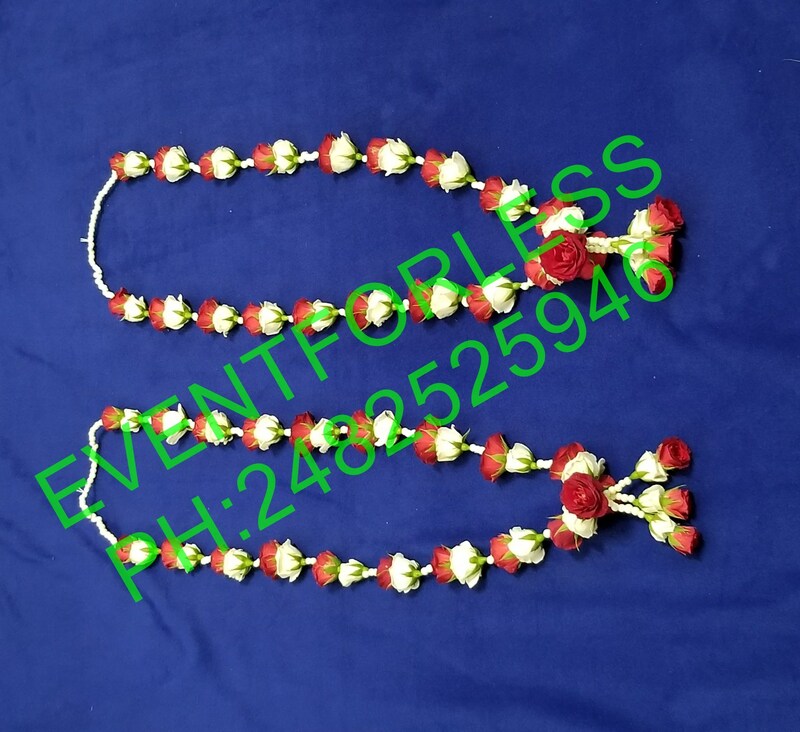 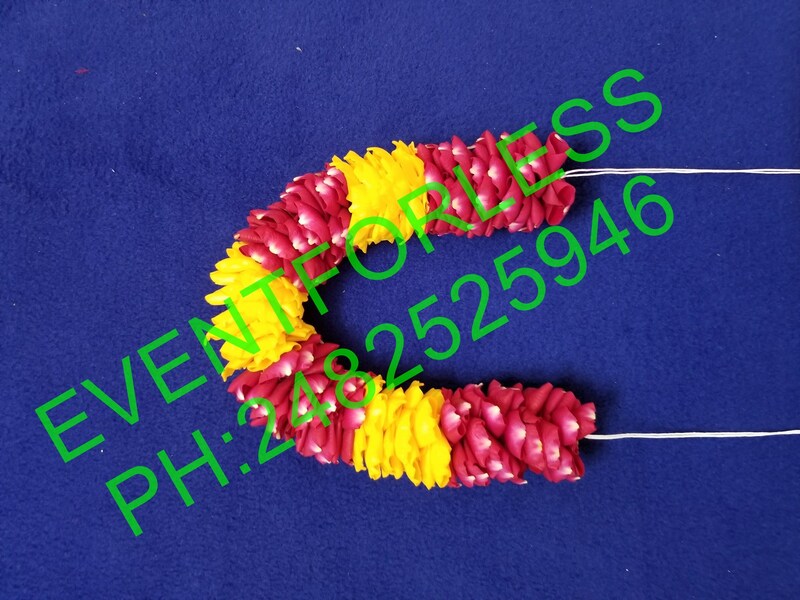 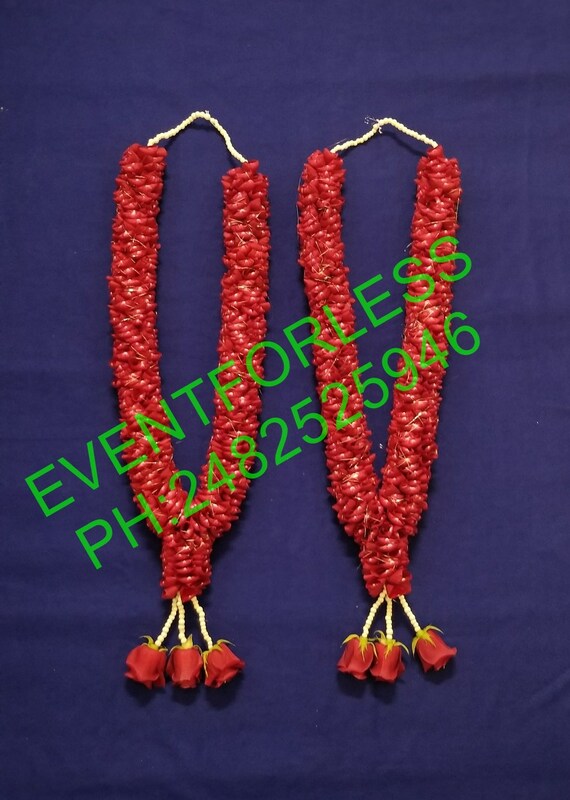 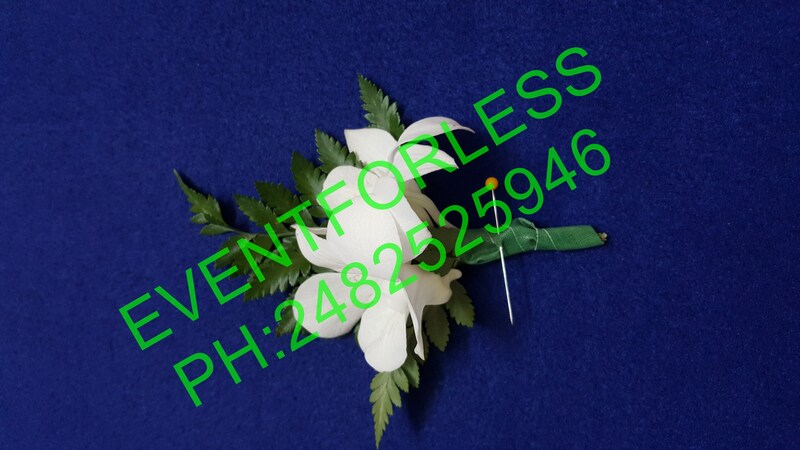 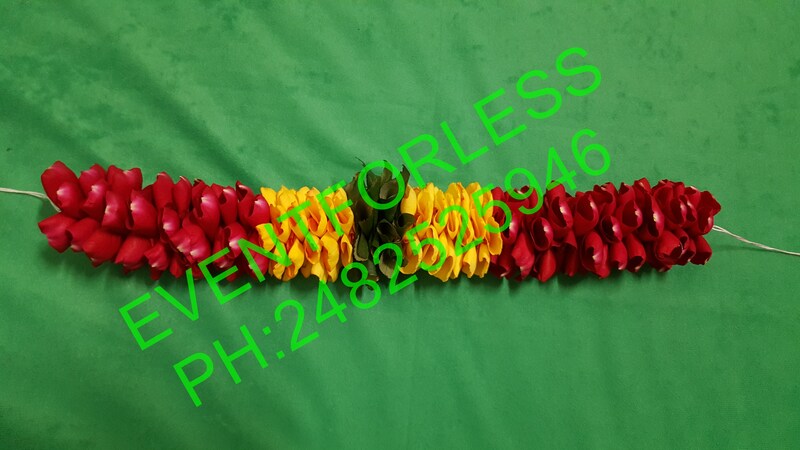 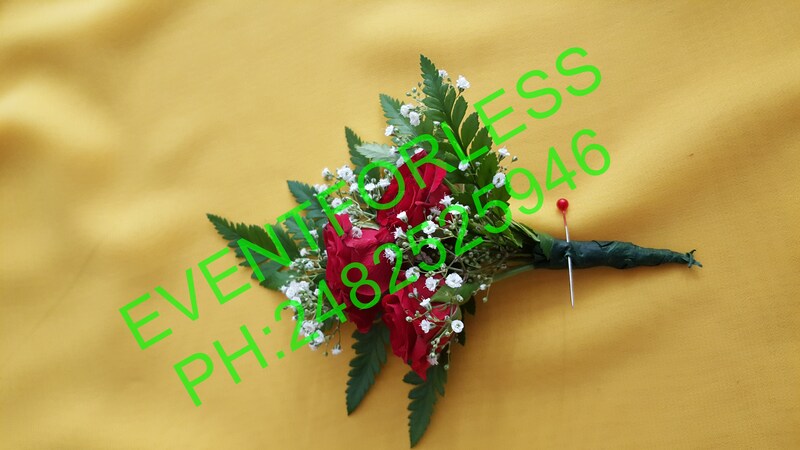 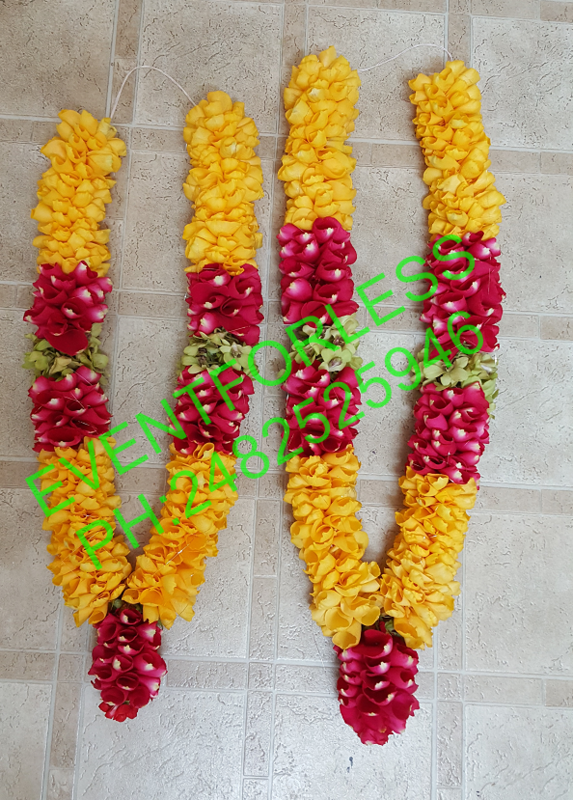 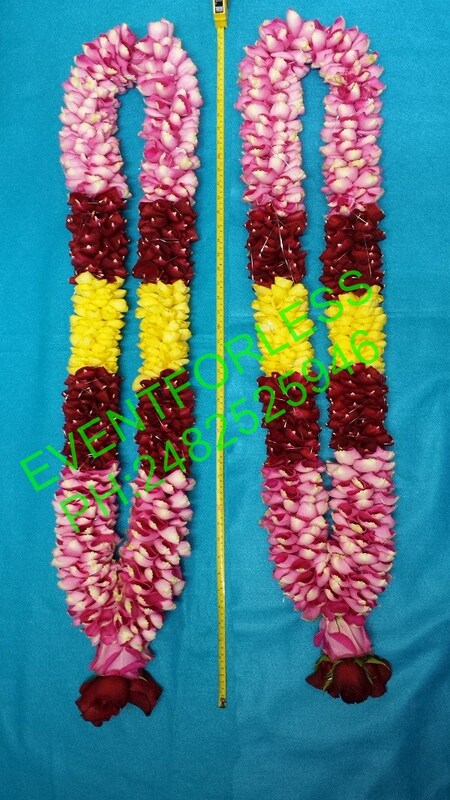 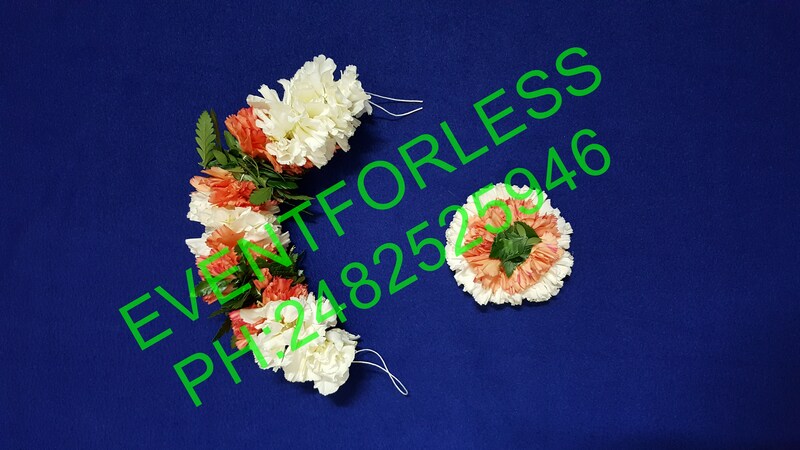 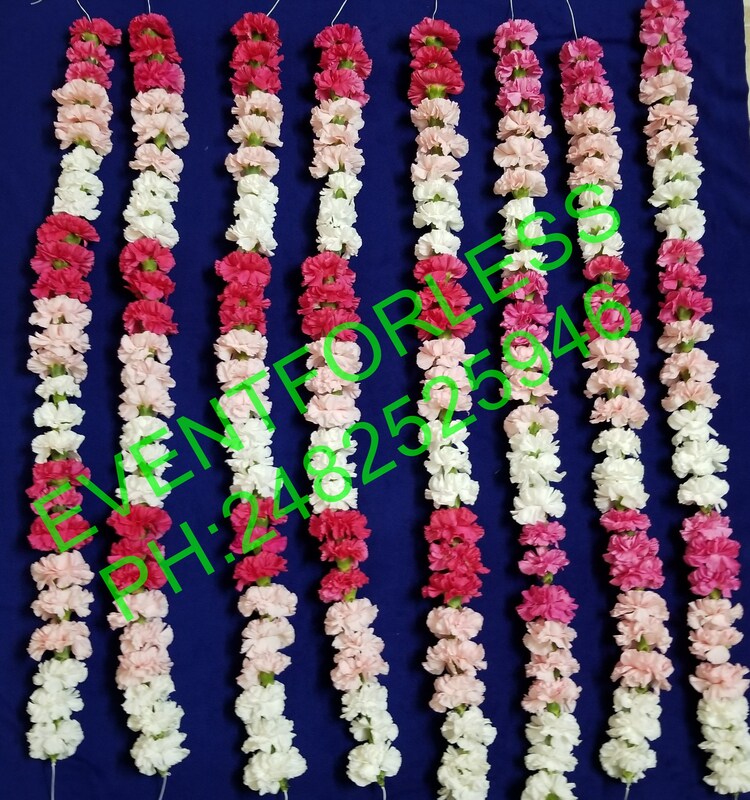 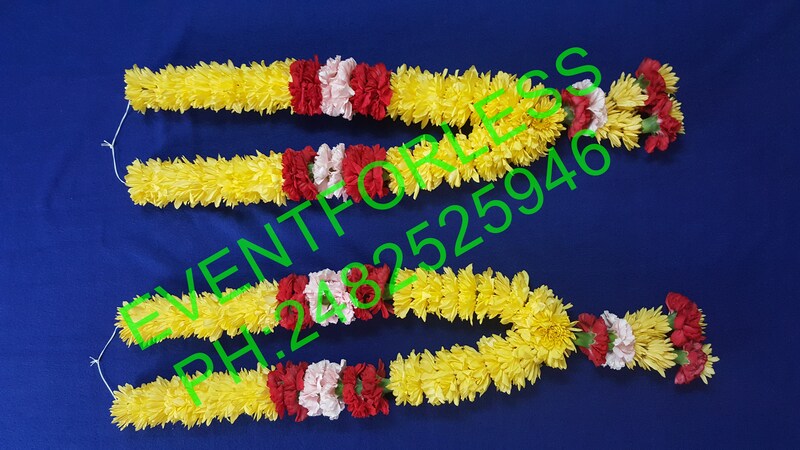 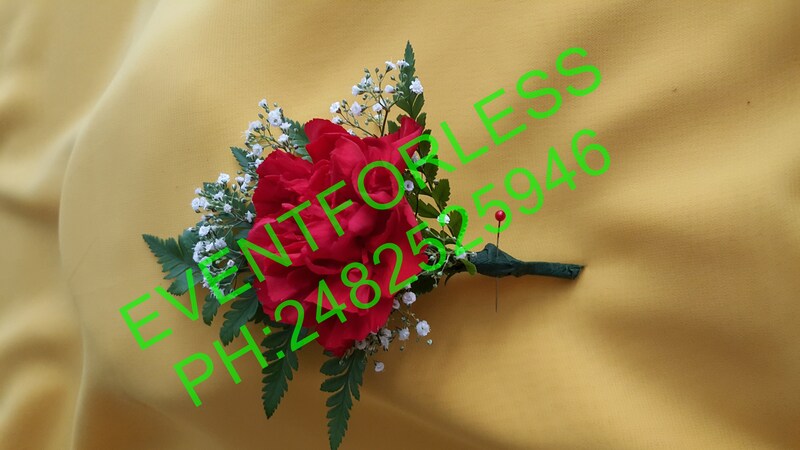 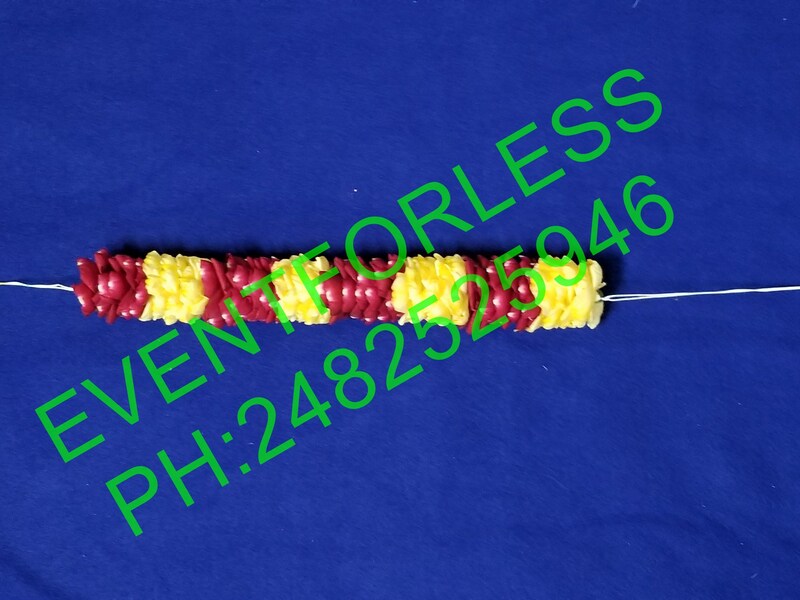 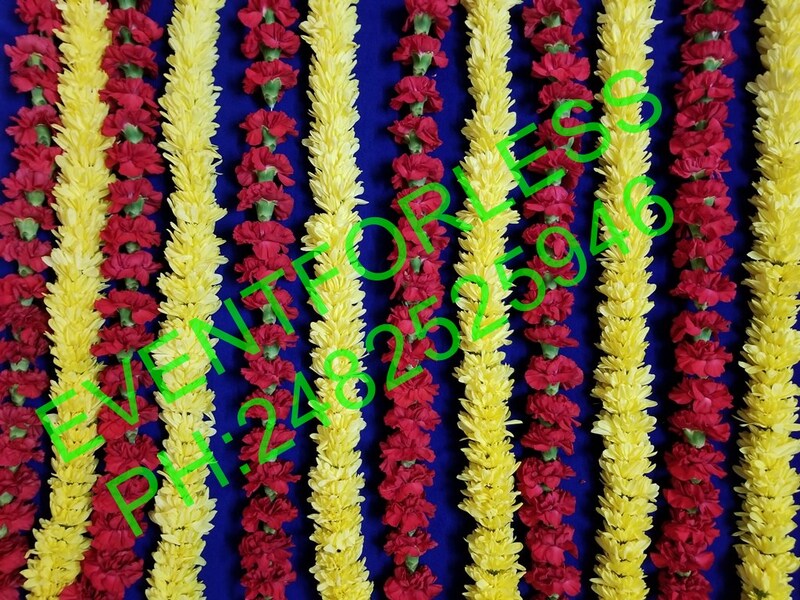 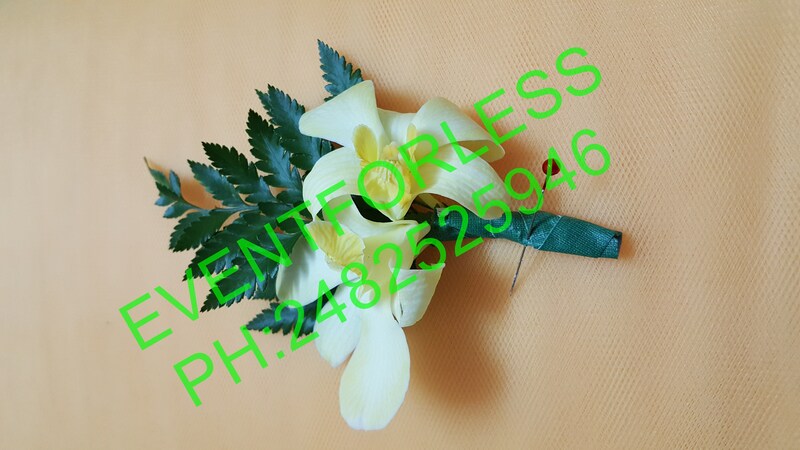 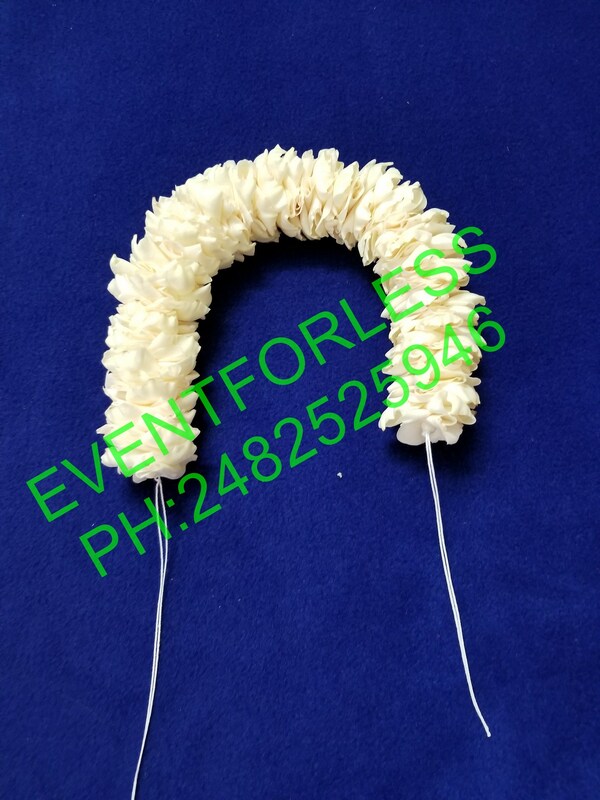 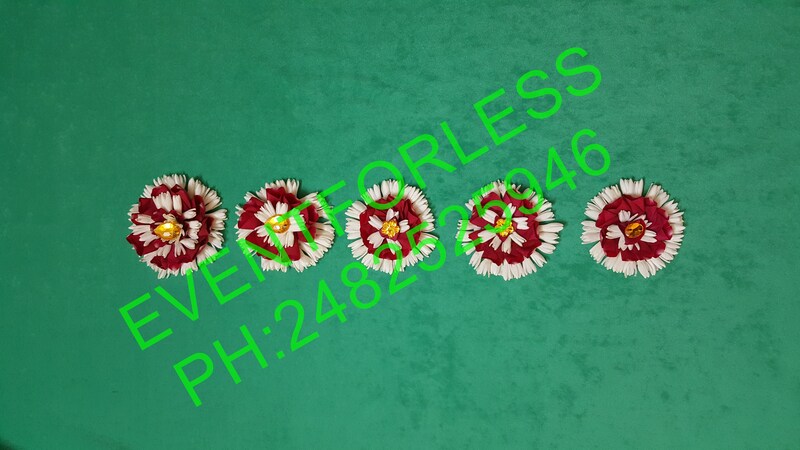 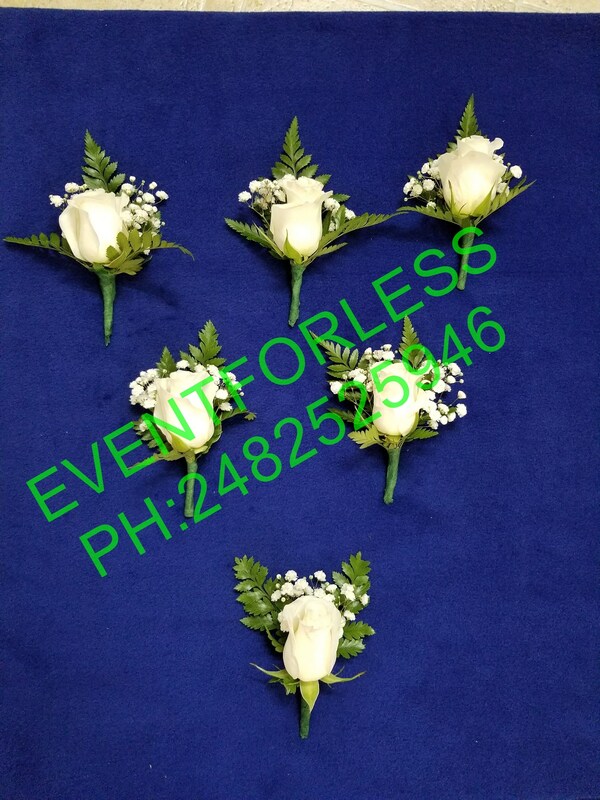 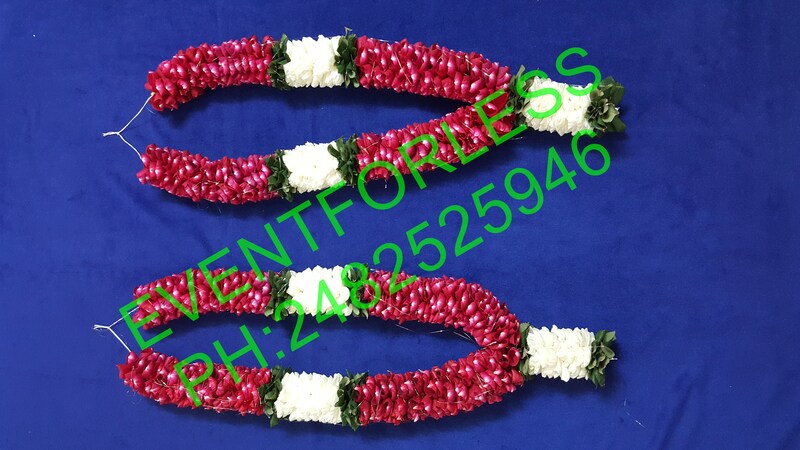 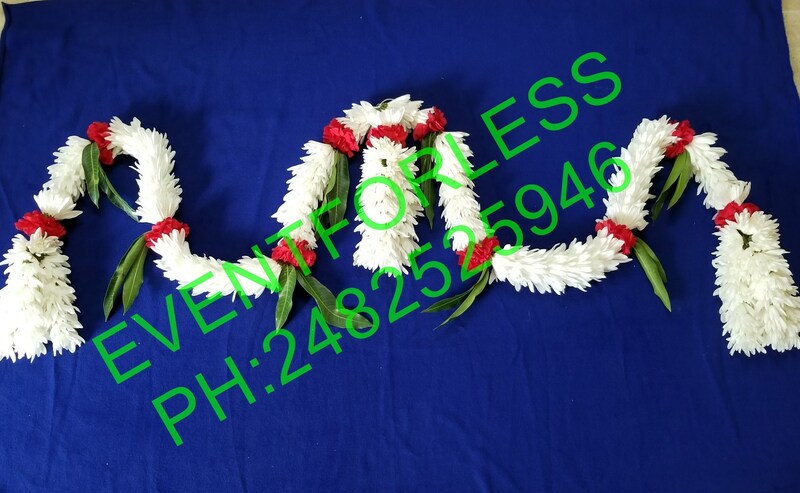 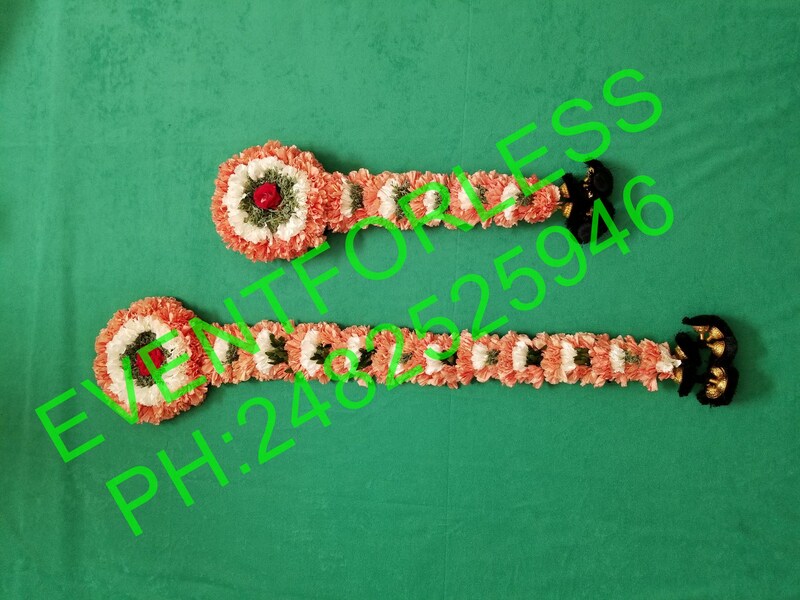 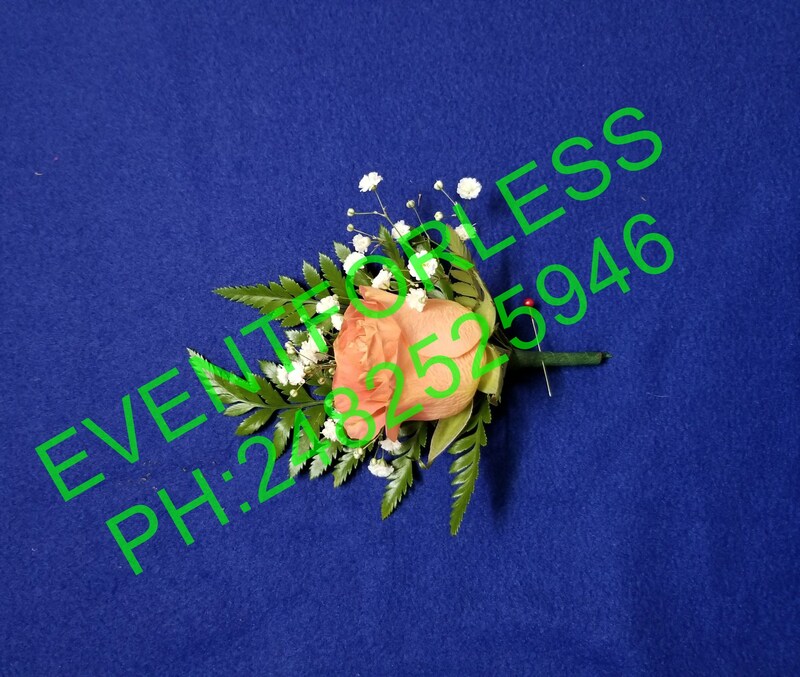 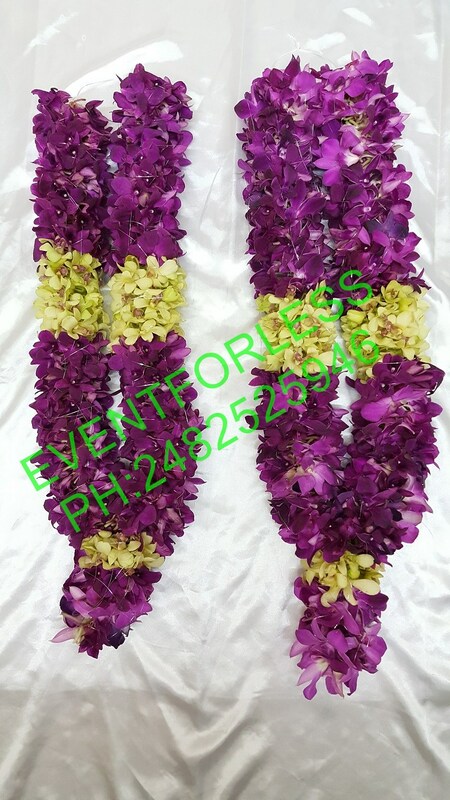 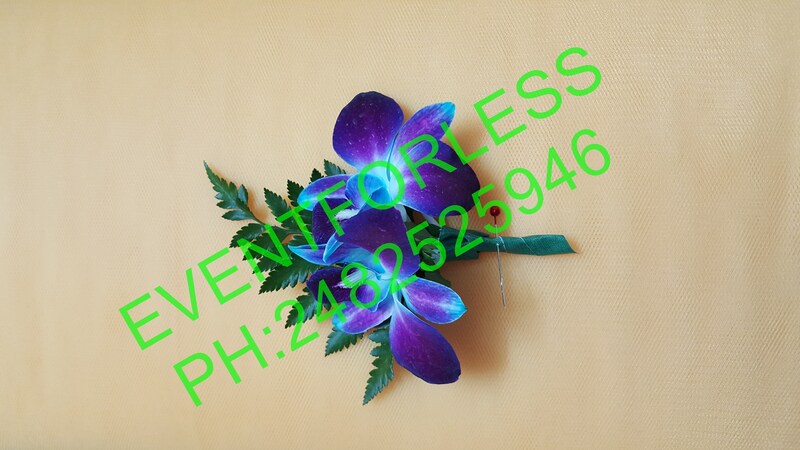 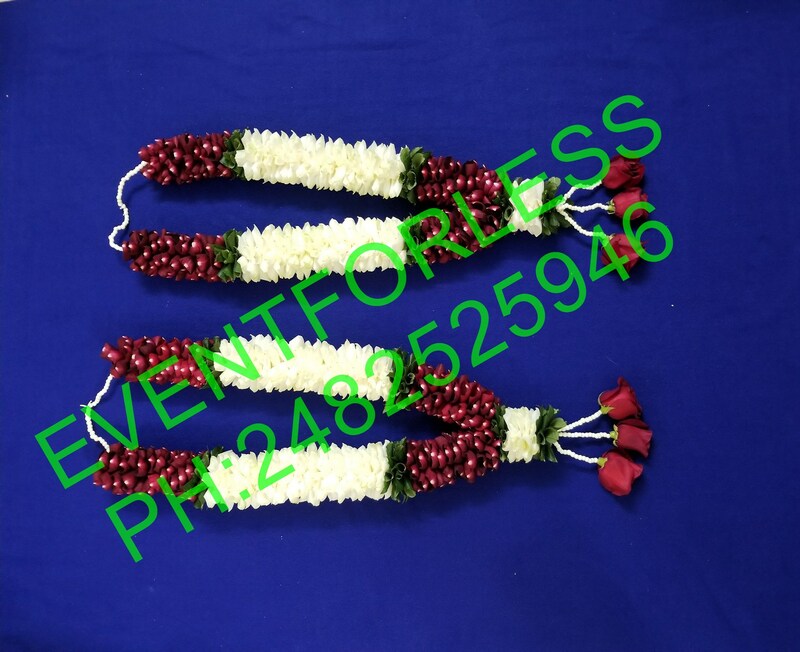 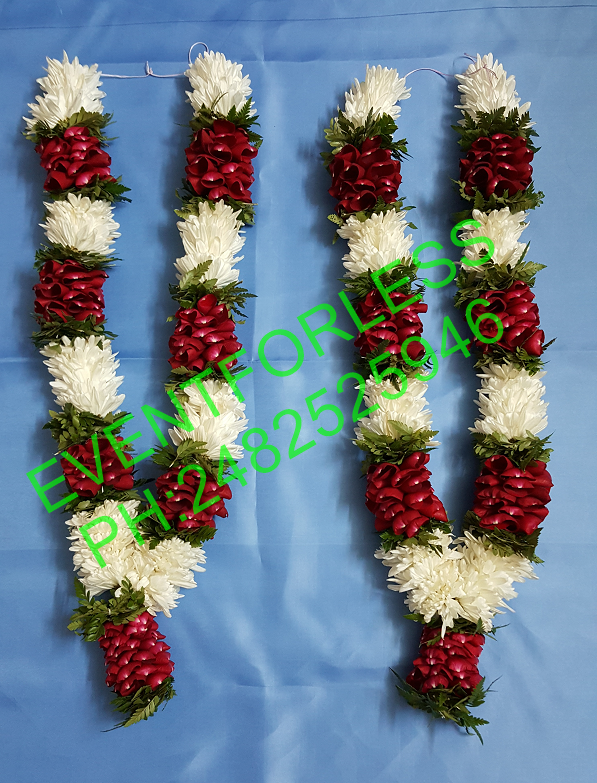 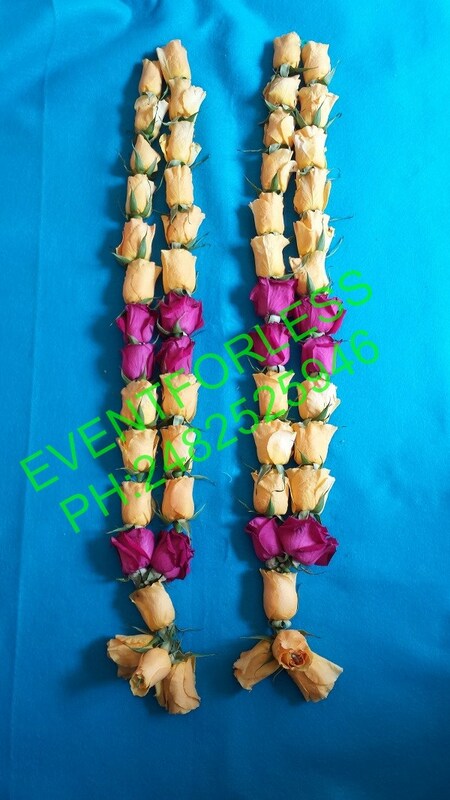 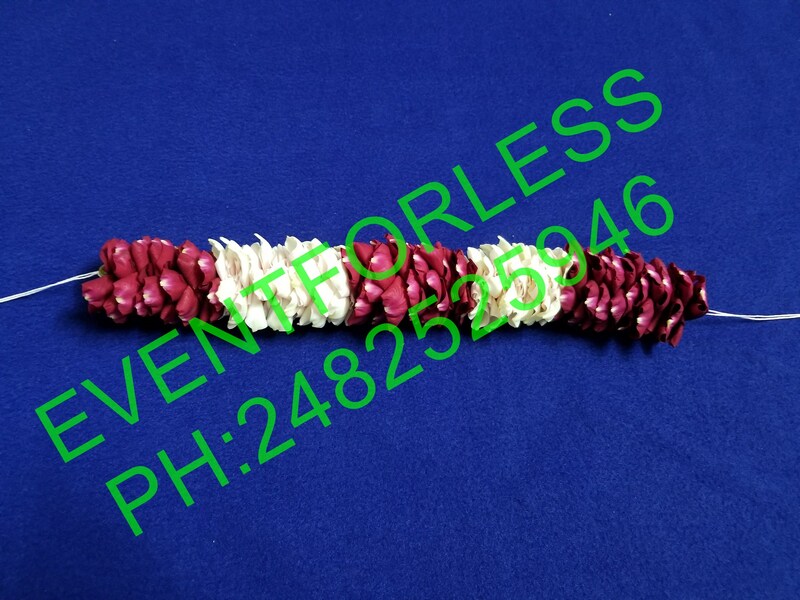 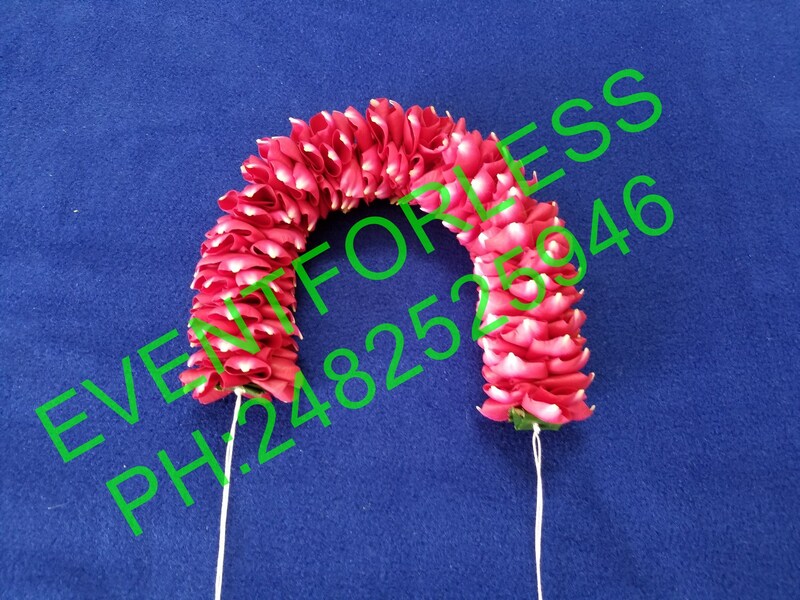 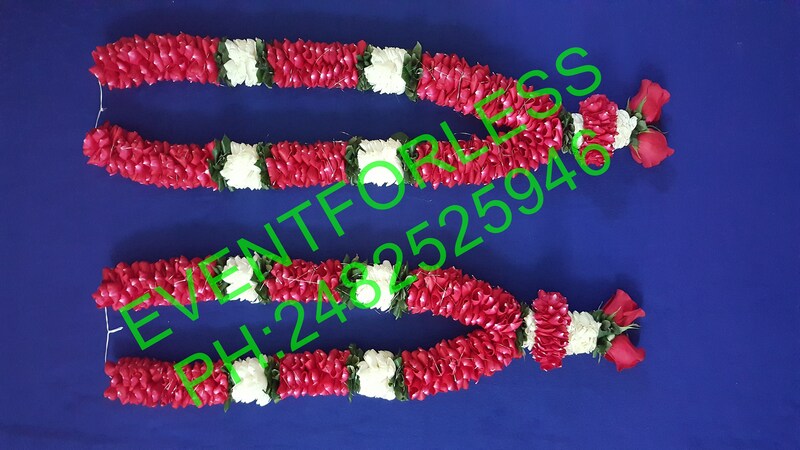 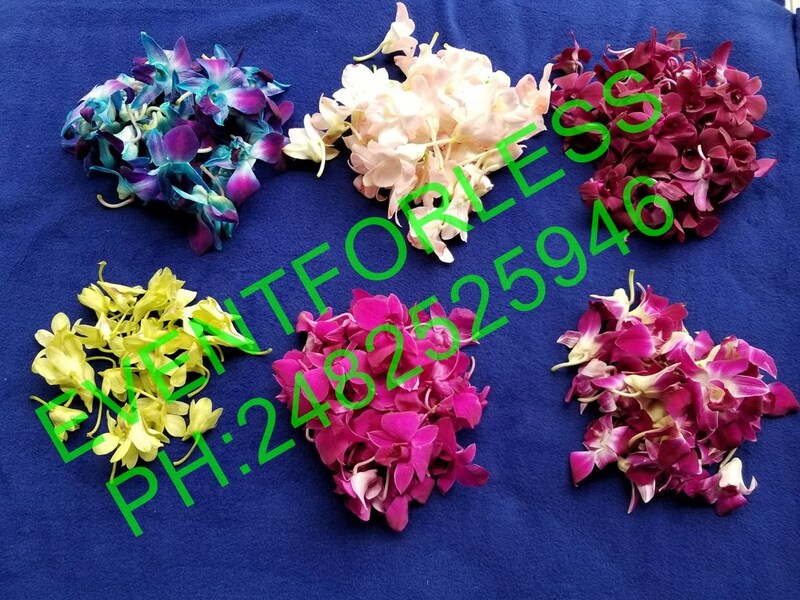 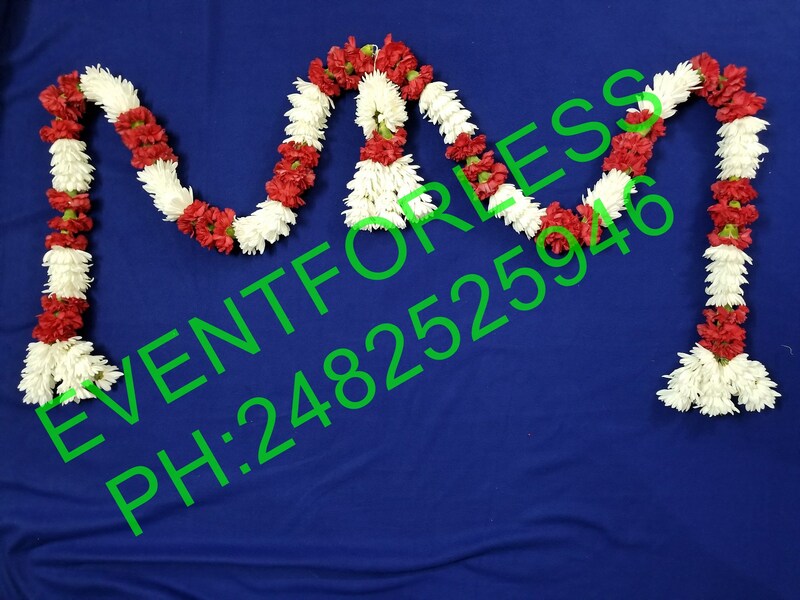 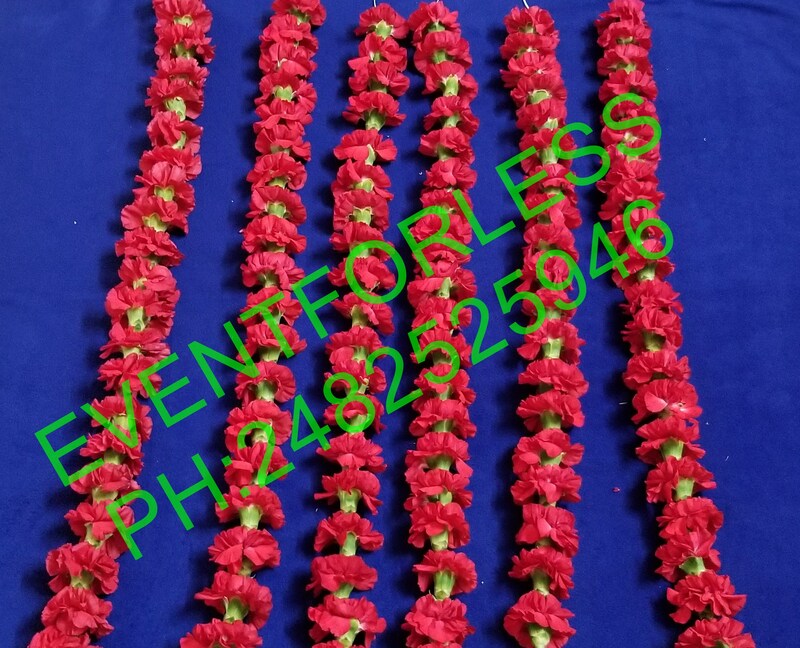 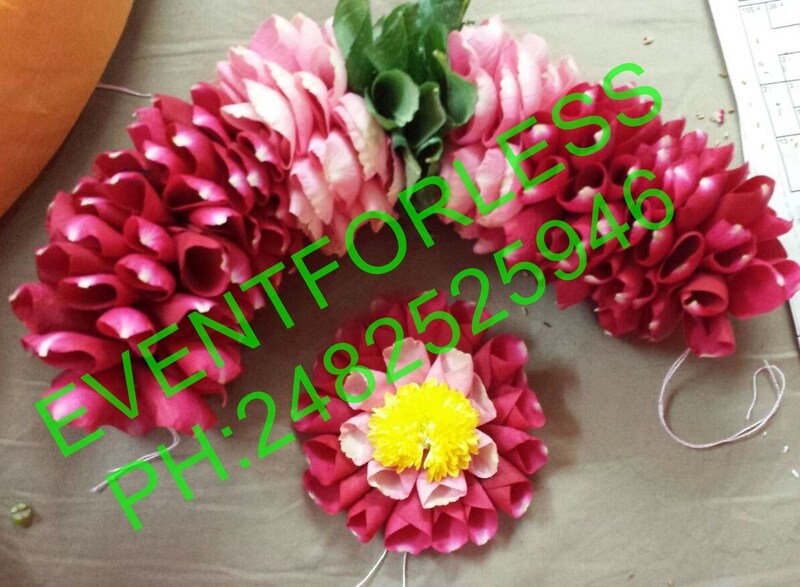 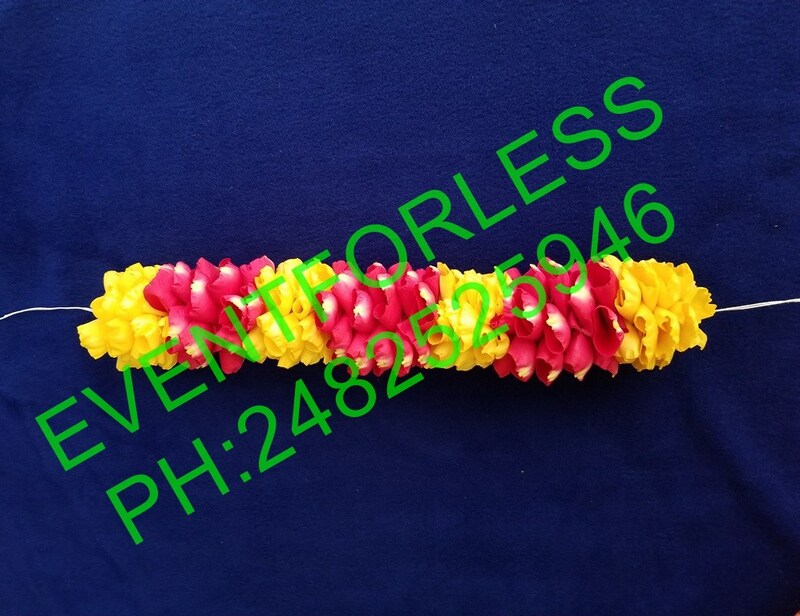 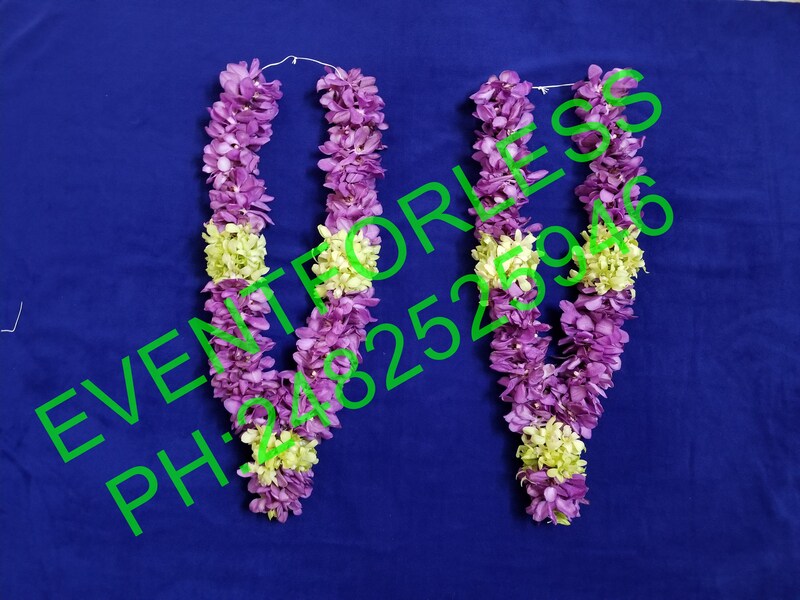 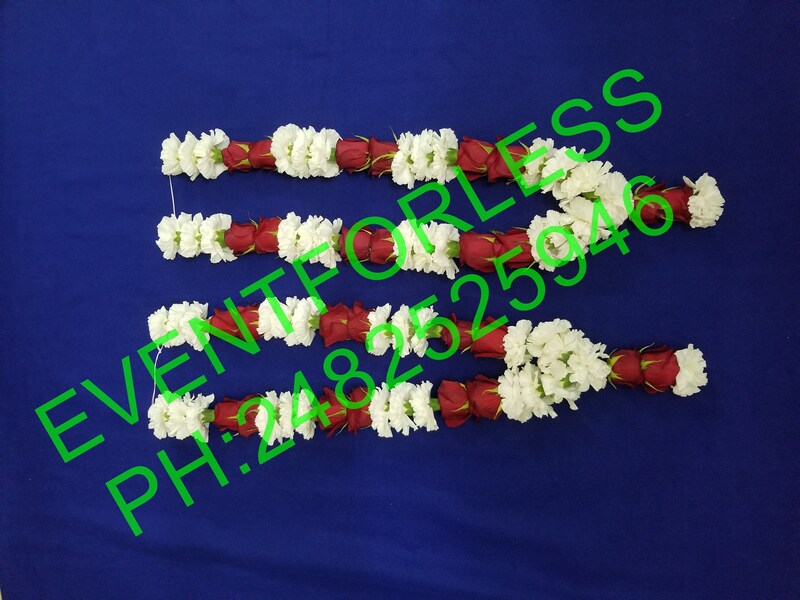 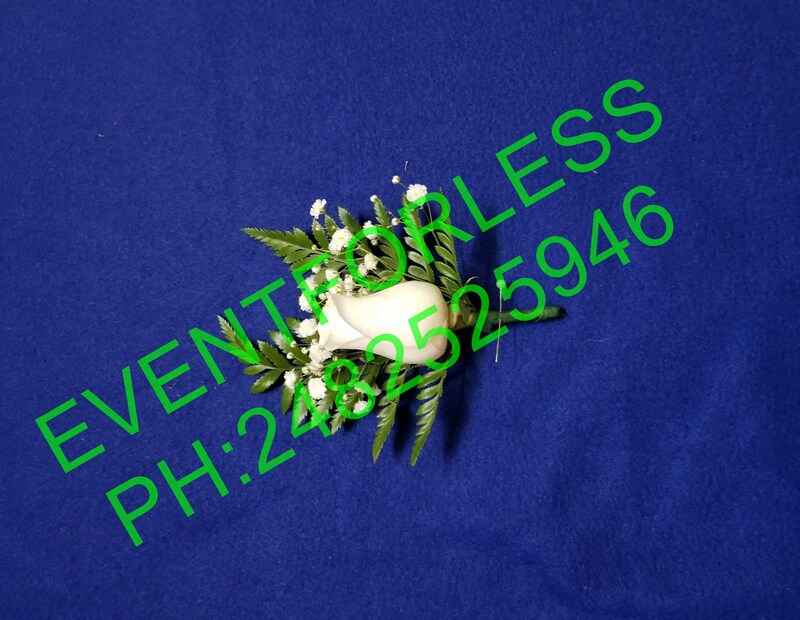 Fresh Flower Garlands: Roses, Mums, Carnation, Lilly, Jasmine, Orchid and more…. 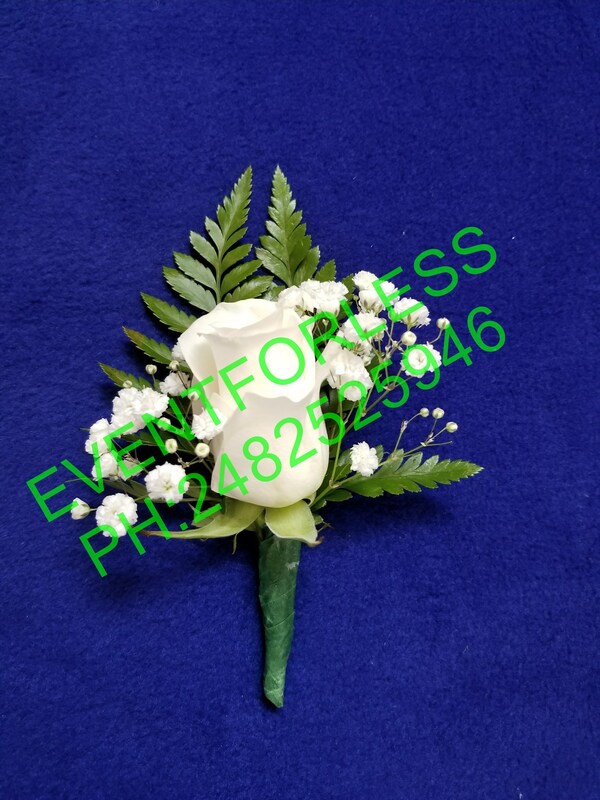 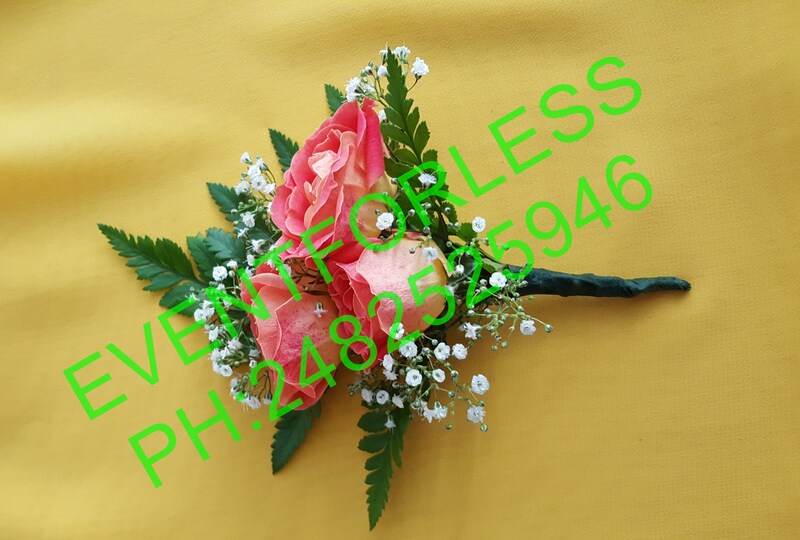 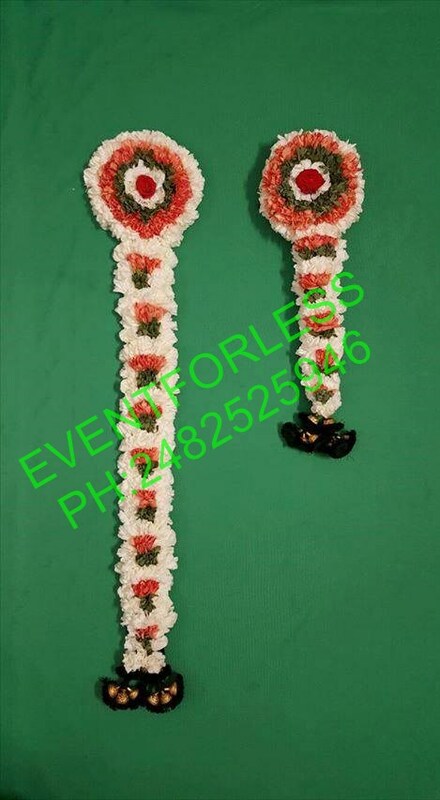 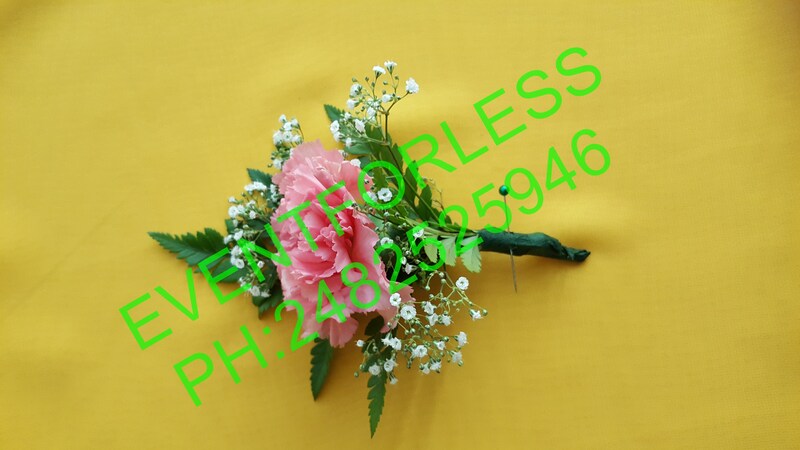 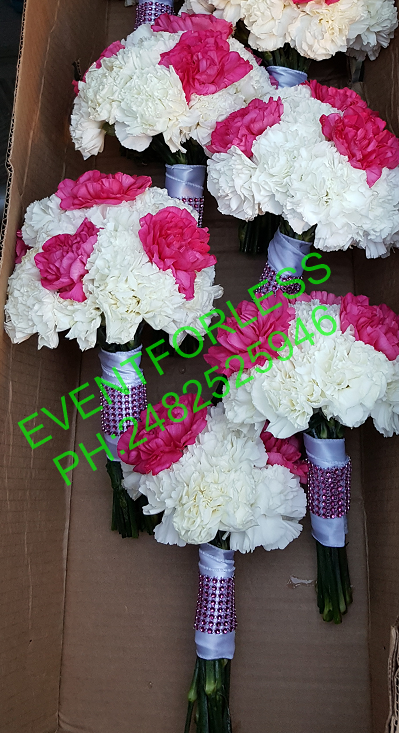 Fresh Flower Wedding Items: Flower Jewellery, Sehra, Gajra/Veni, Bridemaid Bouquets, Boutonniere , Table centerpieces, Garlands and many more… Please call us for more info.